Måns Petter Albert Sahlén Zelmerlöw was born on 13 June 1986 in Lund in Southern Sweden. In childhood, his mother sent him on a course of African dance and father to piano lessons, which didn't lasted long though. As a teenager he learned to play guitar. In the seventh year of primary school he won a competition for young talents. Zelmerlöw enrolled in a new educational program, combining music classes with natural science, starting to get involved in various school plays and being part of a school choir project. In 2002 he played one of the brothers in the musical "Joseph and the Amazing Technicolor Dreamcoat" at Slagthuset in Malmö appearing at 128 sold out performances. Before the completion of the high school Zelmerlöw also plays lead role of Seymour in "Shoppe of Horrors", staged by the Municipal Theatre in Lund. In October 2008, he began his studies at the faculty of economy. Enrolling in music school was the logical next step, but it didn't work out as planned. "There were 200 people in my grade alone who were just as talented as I was, or maybe even more so", he recalls. "I thought that what everyone had told me was true – it was a hard business and it was never going to work. At the age of nineteen, Måns didn;t have a plan for his future. His friend insisted that he audition for Idol, and his cover of Enrique Iglesias's Hero won over the panel. Competing in 2nd season of Swedish version of "Idol", broadcasted on TV4 channel, where he finished 5th, eliminated after 8 weeks in the competition. At the show he has performed songs by Westlife, Robbie Williams, Roxette, Magnus Uggla, Dan Hartman, Tom Jones, U2 and Hoobastank. He repeatedly turned down offers to appear on Let's Dance, and only relented after he discovered that it would be based on the format behind its American equivalent. Måns and his dance partner Maria Karlsson won the contest, and he was suddenly in demand. In 2006 Zelmerlöw played lead role of Danny Zuko in Swedish version of the musical Grease. Also that year Zelmerlöw signed a record deal with M&L Records, a division of Warner Music Sweden, to release a solo album. In 2007 Zelmerlöw debuted in Melodifestivalen, Sweden's national preselection for the Eurovision Song Contest, finishing 3rd with the song "Cara Mia". The song also won "OGAE Second Chance Contest" and was covered in Russia by Philipp Kirkorov as "Koroleva". "I've always been a fan of both Melodifestivalen and Eurovision, Eurovision is like the Super Bowl of music" And most important, it would allow him to fulfil his dream of touring Europe with his band. Zelmerlöw's debut album "Stand by For..." followed shortly after the show, reaching number one in Sweden and certified platinum by IFPI. Four singles were released from the album, all of which reached the top 50 in Sweden. In September album was also released in Poland with Zelmerlöw appearing in tour "Hits On Time", organized by Radio Eska and appearing as guest singer at Polish version of "Dancing with the Stars". On 5 October 2007 Måns was presenter of the Junior Eurovision selection "Lilla Melodifestivalen". He also continued working in musicals, playing Tommy in "Footloose". In 2008 he participated in the Diggiloo tour along with singers Lasse Holm, Linda Bengtzing, Lotta Engberg, Thomas Pettersson, Molly Sandén and Nanne Grönvall. In Poland he appears at "Eska Music Awards" gala, Sopot Festival 2008, and "Hits On Time" tour. In 2008-2011, he was in a well publicized relationship with singer Marie Serneholt, a former member of A-Teens. In 2009 Zelmerlöw returns to Melodifestivalen, placing 4th with "Hope & Glory", despite topping jury vote (covered by Philipp Kirkorov in Russia as "Ty Vsyo Uvidish Sam"). His 2nd album "MZW" was released in late March, again reaching number one in Sweden and certified gold by the IFPI, also being released in Poland. "My first album was more in keeping with the style of Cara Mia, and my second was meant to be cooler and more adult," he explains in regards to the growing maturity of his songwriting. "But both of them scream identity crisis! I wrote whatever I felt like and hoped that it all made sense.. In 2009 he gave a summer tour of Sweden, also taking part in 32 concerts of Christmas tour. "Christmas With Friends" album is released in November. In 2010 Zelmerlöw becomes Melodifestivalen co-host alongside Dolph Lundgren and Christine Meltzer, performing during the shows "A View to a Kill" of Duran Duran, and "Eye of the Tiger" of The Survivor alongside co-presenters. In spring 2011 Zelmerlöw played Romeo in the musical "Romeo & Juliet" at Gota Lejon. Another Christmas album "Kära vinter" is released in 2011. Following his successful debut as presenter at Melodifestivalen, in 2011-2013 he also hosts "Allsång på Skansen" show, broadcast on SVT. As he admits, "I tried to be more of a celebrity than an artist, but that's not me at all". In 2013 Zelmerlöw is in Melodifestivalen as songwriter, reaching Second Chance round with "Hello Goodbye", performed by Erik Segerstedt and Tone Damli. In 2013 he also had the lead role in the musical "Spök". After that he headed to Spain with some friends to record his new album which reflected his appreciation of the likes of Coldplay and Bryan Adams. 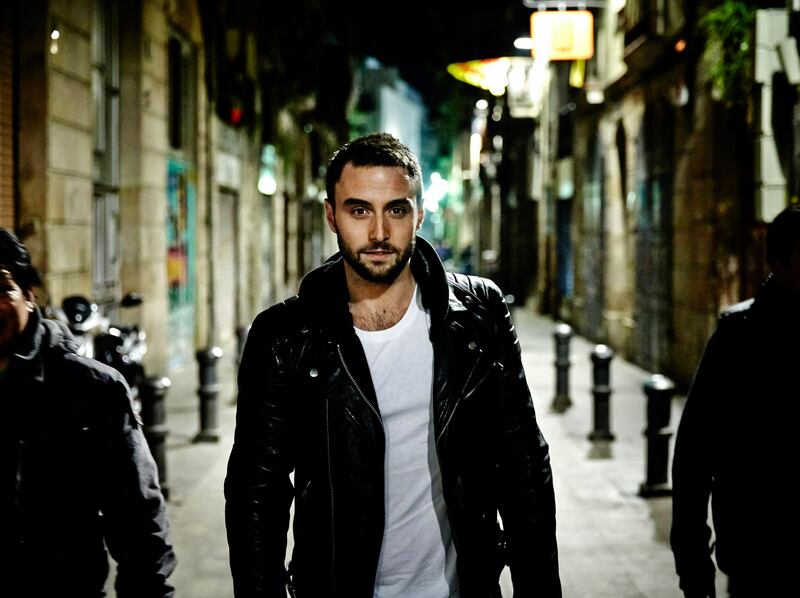 Third studio album of Zelmerlöw "Barcelona Sessions" was released on 5 February 2014, preceeded by singles "Broken Parts", "Beautiful Life" and "Run For Your Life". The album reached number 3. "That's an album that wasn't very hit-orientated," he begins with evident pride. "It was just about making music that we wanted to listen to, and writing lyrics that reflected my feelings and experiences over the years.". 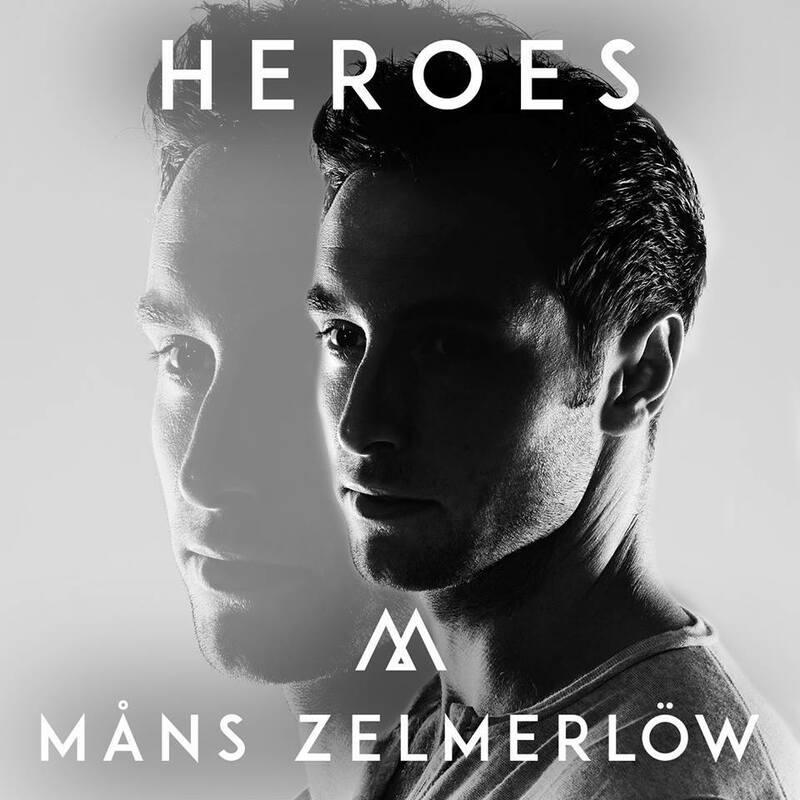 "Heroes" is 3rd attempt of Zelmerlöw at Melodifestivalen as performer. Single was released on 28 February 2015. Prior to the show final it managed to reach 2nd place of the national charts. Originally singer was supposed to take part with one of his own written songs, but his record label proposed Heroes instead, which was instantly agreed. At the national final Måns used 4 behind-the-stage backing singers: Simon Lingmerth, Linnea Deb (one of the song co-writers), Alexander Holmgren and Micke Blomqvist. Simon will not be present in Vienna, insteam of him Måns will use help of Brita Bergström and Jeanette Olsson. Heroes is an example of what he hopes to achieve with his next album which will be out later this year – a mix of the organic musicianship of the Barcelona sessions with the electronic influence of Heroes and a touch of the personality that helped him become so successful in the first place. An audience of millions watched as Måns sang the opening lines. But then the unexpected happened: a click of his fingers resulted in the apparition of a stick man with whom he interacted with for the rest of the track. What followed was a succession of stunning visuals as he donned virtual butterfly wings and spinned the world on its axis. No wonder it cruised into the competition's final. The process started when Måns collaborated with Bounce Streetdance Company founder Fredrik Rydman and illustrator David Nordström to work on a performance that was based on 3D mapping technology. 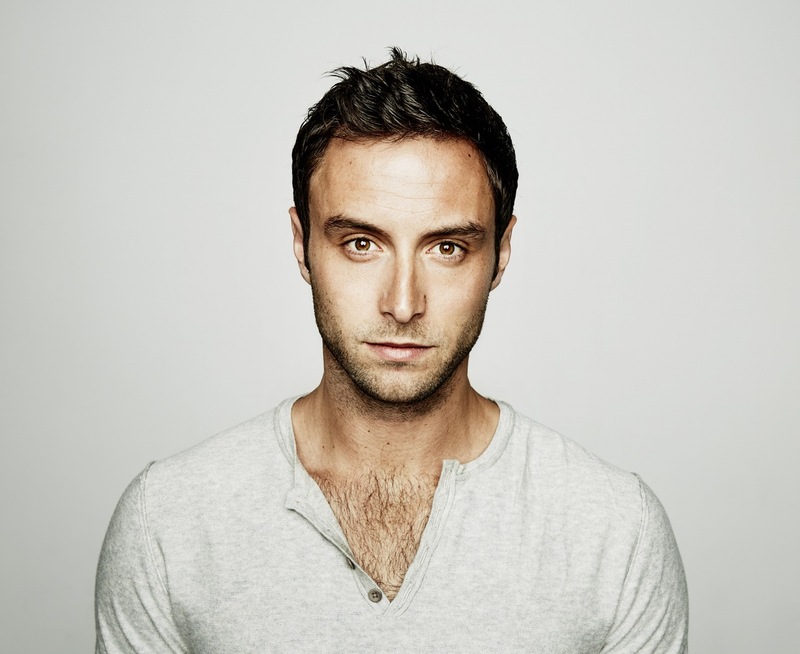 The idea was that the stickman (named after his childhood nickname MP) would represent a young Måns, and he would play the role of his friend who helped him through the problems that he experienced. Måns then spent almost two months rehearsing to ensure that every carefully orchestrated movement was perfected. "The song says that we can all be heroes and do something better for our world. We shouldn't listen to the no sayers around us, we should be a role message to our kids. One of the stage directors of our show Fredrik Rydman based the stage performance on the real story in my life, since when I was 11 or 12 I had some difficulties having friends, so the show is about one lone kid trying to adapt and gets his friends back, which happened to me"
Sanna Nielsen and Edward af Sillén will comment Eurovision 2015 for SVT 1. Melodifestivalen 2015 participant Mariette Hansson will be announcing votes of Sweden. Post by OGAE Rest of the World : Eurovision South Africa. 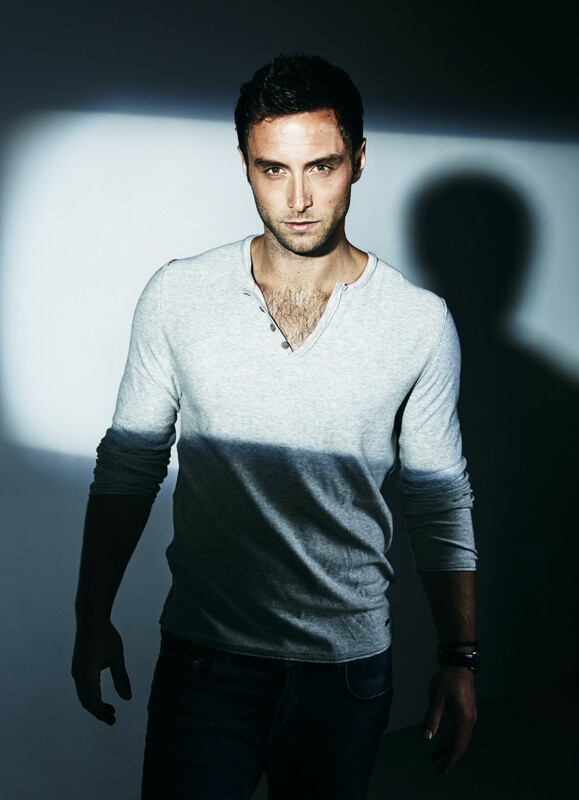 Swedish Eurovision delegation has released Questions and Answers session with Swedish Eurovision 2015 entrant Måns Zelmerlöw. - How did you first get interested in music and which artists have influenced you? - It started with me taking piano lessons, something my parents thought would be a good idea. I never really enjoyed it though. Then a friend started taking guitar lessons so I joined him and with that I started to sing. In high school I realized that singing was my thing and at that time I started to dream about becoming an artist. When I started going to a music college a friend of mine took me to the auditions of Swedish Idol and I ended up coming in fifth place. - Do you consider Idol your big breakthrough? - Kind of. But it could have ended there as I was really lazy and didn't have the drive to continue on that journey. After Idol I was ready to move back to my hometown of Lund to study. But then I was asked to participate in the first season of Let's Dance (Strictly Come Dancing/Dancing With The Stars) and I won. And after that I was offered Cara Mia for Melodifestivalen 2007. So, Let's Dance was possibly of even more importance to my career than Idol was in some ways. But of course I would never had been asked to be on Let's Dance if it wasn't for Idol. - What kind of music do you listen to and what influences you? - I listen to all kinds of music, both for my own pleasure and of course for inspiration. Coldplay, Justin Timberlake and Swedish artist like Veronica Maggio, First Aid Kit and Melissa Horn are my favourites. My last album, Barcelona Sessions was in many ways inspired by Coldplay and John Mayer. - What made you enter Melodifestivalen this year, and have you always wanted to come back? - It has always been a dream of mine to represent Sweden in the Eurovision Song Contest. It was six years since I participated with the single Hope & Glory and now it felt right both time-wise but especially with the song, which I felt was such a powerful song. It actually started out with me writing songs for Melodifestivalen for another artist and when I went to the record label for them to listen they ended up asking me to listen to Heroes. I was intrigued because it was a great song, somewhat reminiscent of what I did on Barcelona Sessions but still gave me the chance to be the kind of entertainer that I always wanted to be. - Did you immediately click with Heroes? - I felt that it was a great song but I wasn't sure if it would fit my voice immediately. I was still thinking about doing the kind of music that I did on the Barcelona Session album, more of a rock thing. But then people close to me reminded me how much I really love to perform up tempo songs and I felt that Heroes could really become something great. - How was it to work with Linnea & Joy Deb who wrote hits like "You" and "Busy Doing Nothing"? - Great, they are geniuses. But actually, they didn't consider me for Heroes at first. (Swedish artist and former Idol star) Jens Hult was the guy who sang on the demo and he did an amazing job. Then it was suggested that I should give it a try in the studio. It's not an easy song to sing, but when I went to the studio, Joy Deb was really satisfied. I must also add that Anton Hård af Segerstad wrote Heroes with Joy and Linnea. - You have said that Heroes remind you of songs from artists like David Guetta and Avicii. Do you think Heroes could be as big in Europe as the songs they have released? -Yes, it is absolutely a song in the same genre, and EDM is really popular right now. I absolutely think that Heroes could be heading for great success because it's a really strong song. It's a song with it's own identity and is very well written. - What does the drawn character in your performance mean to the story of the song? - The song is about the fact that anyone can be a role model and a hero. And that's what we've tried to illustrate on stage with the animated little character "MP". I take him to my heart and that makes him stronger. The story is based on my own experience in middle school when I was shut out by some friends because of a bully in my class. I had to find a new friend, and when fall came, he luckily even entered my class. His companionship gave me strength to confront the boy who had been bullying me, which also gave me my old friends back again. The animated figure "MP" (stands for Måns Petter) represents a young version of myself, and I represent that new friend I made who helped me stand up for myself. - What changes on stage, either minor or major, can we expect for Vienna? - The animated figure MP will get a makeover and perhaps a few new attributes. I'll also have new backing vocals as support of the performance. Alexander Holmgren and Micke Blomqvist both performed with me in the Swedish Final, but now I've also added Brita Bergström, Jeanette Olsson and Linnea Deb, who is also a terrific songwriter. - How do you feel about being considered a favourite to win the Eurovision Song Contest? - It's always exciting to represent Sweden as one of the favourite contending countries. And it's great to feel support for the song in itself. Having that said it will definitely be a tough competition. Personally I think Italy will be hard to beat, and Australia will be tough as well. Guy Sebastian is a great artist and I think it's great they're represented by such a star. Azerbaijan also has a really nice song. - Do you consider yourself a Eurovision fan? - Yes, I have always watched and loved the Eurovision Song Contest. When Loreen won I was out on town celebrating like crazy. So it's going to be so amazing to represent Sweden this year. - What are your favourite songs from Eurovison? - I have tons! I love Verka Serduchka's "Dancing Lasha Tumbai". It's an absolutely amazing song. I also love ballads like Yohanna's "Is It True" and Pastora Soler's "Quedate Conmigo". And of course Inga & Anush's "Jan Jan" and Urban Symphonys "Rändajad". - Did you have any favourite song in "Melodifestivalen 2015" apart from your own? - Yes, I really liked Mariettes "Dont Stop Believing" and Molly Petterson Hammars "I'll be Fine". Two wonderful songs and two equally great singers. - Which of Sweden's Eurovision songs have you liked the most? - Loreens "Euphoria", of course, and "Se på mig" with Jan Johansen from 1995. - I heard you were one of the first people who really believed in Loreen? - I actually started my record label Mohito Records because of her. She sang on a lot of demos in our studio and me and my collegue Moh (Denebi) saw something huge in her. So we signed her, started to push for her to enter Melodifestivalen with the song "My Heart is Refusing Me" which eventually succeeded. And the year after that she won the entire Eurovison Song Contest with "Euphoria". - What is your relation to "Cara Mia" and "Hope & Glory" today? - I always perform them when I'm out doing gigs. I have three big hits and it would be selfish of me not to perform them. People want to hear them and I still really enjoy singing them, especially when the crowd sings along with me. "Cara Mia" is a song most people in Sweden know by now. - Will you do some promotion for Europe like attending events as 'Eurovision in Concert' or 'London Party'? - I will visit both Eurovision in Concert in Amsterdam and the London party. Apart from that we're hoping to do some big TV-shows in a few other countries. Otherwise I'll be spending as much time as possible recording new stuff and making sure my Eurovision performance is going to be great. - Will you release an album? If so, will it have a similar sound to your album 'Barcelona Sessions' or move more towards the sound of 'Heroes'? - Yes, we are hoping to have an album ready for a spring release, hopefully close to Eurovision. It will be more in the style of Heroes. I'm currently working with the songwriters who wrote "Heroes" and a lot of other people too which is fun. 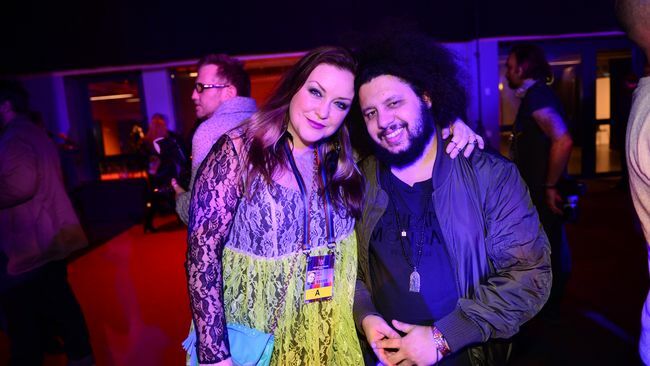 A lot of doors opened to new collaborations when I won Melodifestivalen. - There have been some articles about a show that you did in Sweden where you said that homosexuality is an abnormality, though adding there is nothing wrong with it. Is there something you want to clarify? - Yes, absolutely. This story makes me really sad. I never meant to use that word, In this discussion I was going for "not as common" and it just came out wrong. I will definitely say that I am not a homophobe, never have been and never will be. I used some really stupid words and arguments that I never should have used and everything just came out wrong and out of context. Being homosexual is just as normal as being heterosexual and I am in total support of the LGTB communities to one hundred per cent. I have always been an ally and performed at Pride events to show where I stand. I am so sorry for having hurt a lot of people and I have apologized for this a lot, and I will continue to do so for as long as it takes. - How do you feel about competing in Eurovision? - It is totally a dream comes true and I am very much looking forward to coming to Vienna in May. I going to try to just have as much fun as possible and I am so proud to represent Sweden. To win Melodifestivalen was one big dream coming true and to enter the Eurovision is the next one. Reception in Austrian embassy. With ambassador Arthur Winkler-Hermaden, singer Måns Zelmerlöw, head of delegation Christer Björkman, songwriters Linnea Deb, Anton Malmberg Hård af Segerstad and Joy Deb. 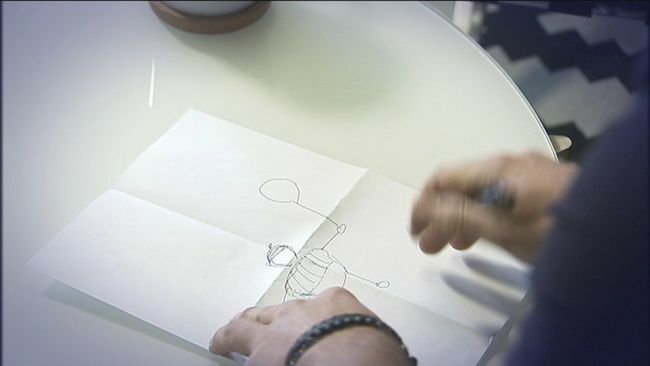 Mans Zelmerlöw revealed the new look of MP - the cartoon hero of "Heroes" grafics. Hat, sweater, balloon and thicker body - that's how he has changed for Eurovision. Instead of ostrich hat he has got a beret on his head and the umbrella on which he flies away has been replaced by a balloon. Moreover, he has been also dressed in a sweater. The new figure is bigger and has a "pear-shaped body". "It was Easter, so he has eaten a lot and gotten a bit thicker. And so it was, so he has a new hat and a balloon instead of an umbrella, for it has stopped raining", says Mans Zelmerlöw in the interview to Сulture news. 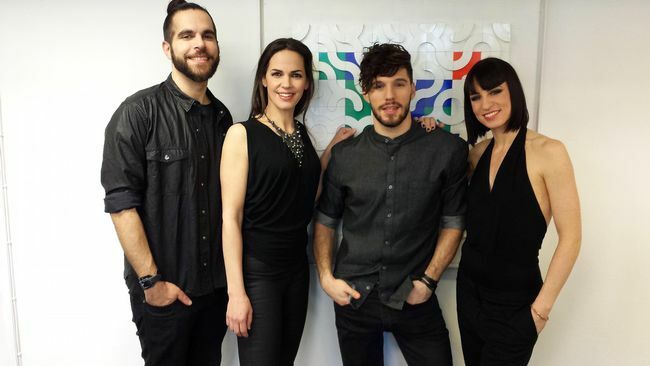 Full 50 points to Australian entry in Eurovision 2015 by the Swedish review panel in the first episode of "Inför ESC". According to the head of delegation Christer Björkman the decision has been reached that if Australia wins in Vienna, it will be Germany hosting the show on their behalf in 2016. Australia also scored massive 49% of the poll on the SVT website and after the broadcast song has entered top 10 of Swedish iTunes chart. Watch the first episode of the show here. Måns Zelmerlöw has a tight European promotional schedule before Eurovision. He has already performed on The Voice of Finland, visited Eurovision In Concert in Amsterdam where he gave 35 interviews. On April 22 singer will visit Norway, doing interviews for TV, Radio and newspapers. 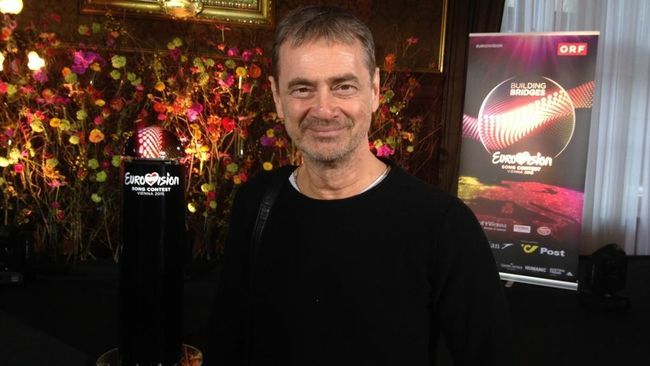 Next Sunday concert London Eurovision will take place in UK, where Christer Björkman will also be a special guest. Another special appearance scheduled for Måns is performance at The X Factor Adria broadcast throughout the former Yugoslavia, in Serbia, Montenegro, Bosnia, Macedonia and Croatia. Episode with Swedish entrant singing "Heroes" will be broadcasted there on May 17, when Swedish delegation will already be in Vienna, where they will arrive on May 13. Swedish Måns Zelmerlöw has appeared as the guest of the "Voice of Finland" show today. Watch his performance here. The shooting for the "Postcards" is in a full swing. Eurovision artists are arriving to Austria to perform tasks of all kinds, to present on the one hand their land as multifaceted as possible multifaceted and on the other hand to get to know the host country. Mans Zelmerlöw from Sweden had to travel to Austrian Alps, where he had to go on a special mission. 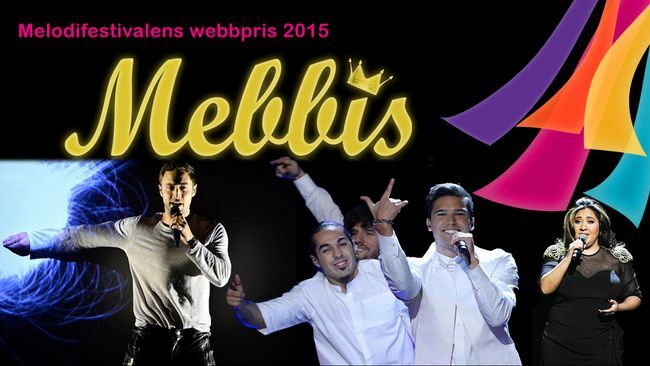 SVT.se readers have made a decision in the various nominations of "Mebbis" - web awards to the participants of Melodifestivalen 2015. 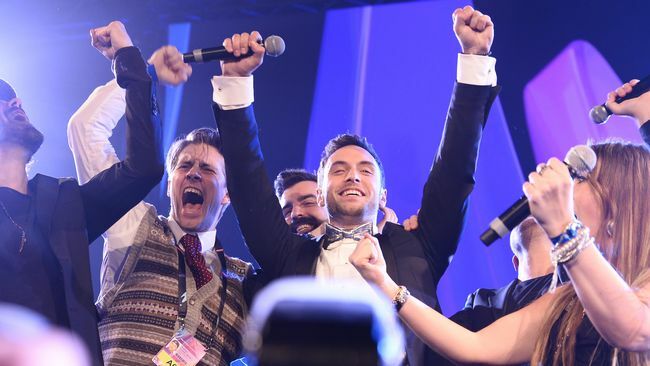 "Heroes" and Måns Zelmerlöw have dominated most of the categories and broke previous records scooping nine awards. Previous record holder was "Euphoria" with seven. "Heroes" was runaway winner in "special effects" award with 77% of votes. Måns and his entry won all categories he was nominated in, with the exception of photo of the year, when he finished 2nd behind Stina Stjernkvist image of Annika Herlitz. "Heroes" lyricist Linnea Deb won four awards including for the best lyrics and composer Anton Malmberg Hård af Segerstad won three, including best songwriter was named songwriter and won in all three classes. Joy Deb, the third songwriter behind the grant became co-winner of two awards. Stage director Fredrik "Benke" Rydan and animator David Nordstrom also got two awards for the best stage show and special effect. Second most prized persons were actually hosts of the show, Sanna Nielsen and Robin Paulsson, who won three awards, including: best duet, best opening and best interval number. Third most successful person was dancer Edin Jusuframic, who was one of winners of Group of the year, opening number and got 2nd place for choreography of Dinah Nah's entry. Multiple winner was also Mario Pérez Amigo, who choreographed and danced in Eric Saade's number and was rewarded with prizes of choreography and dance movement of the Year. Kristin Amparo won female singer of the year with Mariette becoming breakthrough of the year. Honorary award went to Mary Ilstedt for her valued work as a project manager for the Melodifestivalen, which she stops after this season in favor of other projects on national television. 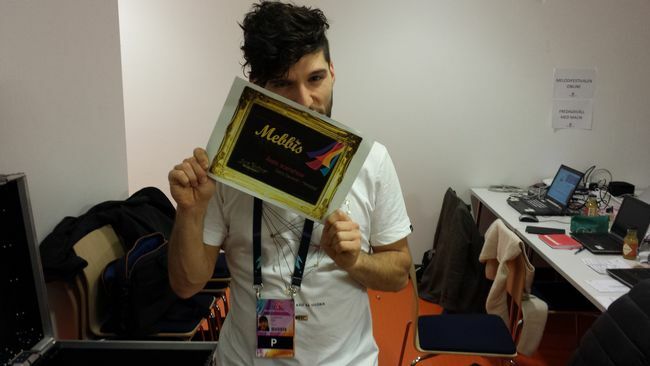 Melodifestivalen web price is addition to the Marcel Bezençon Awards. The prize is awarded in three categories: The press prize went to Måns Zelmerlöw and "Heroes", while Isa won the Artist's price and Miss Li and Sonny Gustafsson ("Do not Stop Believing") were awarded the Author's price. You can find complete list of this year and past years winners at svt.se website. After the allegations of a possible copyright infringement, SVT has taken a decision to replace Melodifestivalen performance video with the Heroes lyric video as the official preview video. At the same time, efforts are underway to correct contents before the appearance in the Eurovision Song Contest in Vienna in May. 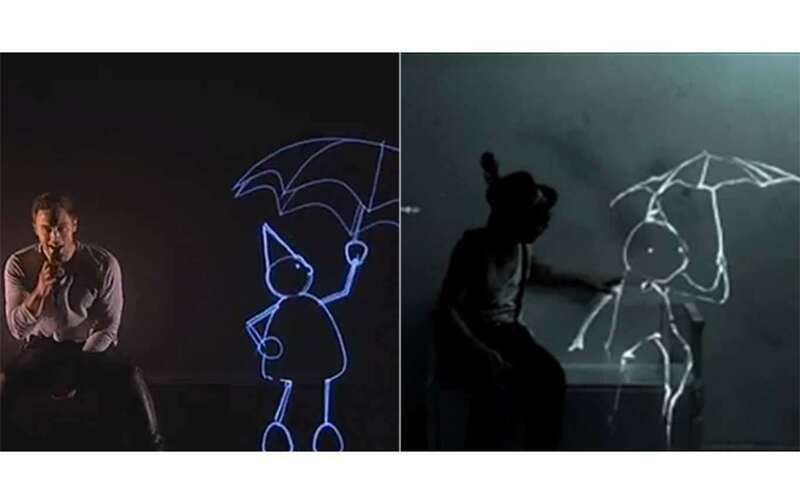 Earlier, it was discovered that the video with a little man with umbrella have been inspired by another music video "The Alchemy of Light", which was made ​​in 2012 by the performance artist A Dandy Punk. Fredrik "Benke" Rydman, stage director of Heroes says: "Sure, I admit being absolutely inspired by the figure that we have been talking about and although I reject that it is a plagiarism, we can never predict the outcome of such a review. Moreover, we have not time for that. Since the appearance of the figure is not critical for me it's an easy choice to correct it". Head of Delegation Christer Björkman think it's sad but the change is not necessarily a negative thing. "It's boring and generates extra work. But now that it has happened, I see still opportunities in this - now we can sharpen the presentation till May". 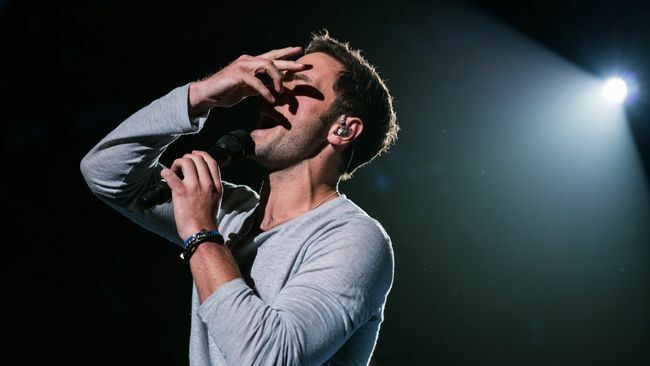 Måns Zelmerlöw himself feel calm and confident in the decision to adjust the presentation: "The figure has new clothes. It's spring now and he can not have the same outfit as in February". Meanwhile, the line up of backing vocalists for Swedish entry has been confirmed. Simon Lingmerth will be now replaced with experienced backing vocalists Brita Bergström and Jeanette Olsson, who have also worked with Sanna Nielsen in Copenhagen. It is planned that Swedish singer will be attending preview parties in London and Amsterdam. Britta Bergström: Choir veteran, who is singing in the Eurovision Song Contest since 1996. Member of backing group in 2003, 2004, 2005 and 2006, Eurovision winner 2012 with "Euphoria". Performed with Molly Pettersson Hammer in the MF 2015. Michael Blomqvist: Choir veteran who was previously included in huskören. Jumped into the "Heroes" at the finals and starred thus in his hundredth festival entry. Working as a freelance musician and singer and has participated in tours, television galas and concerts with artists like Sheeba, Carola, Tomas Ledin, Paul Young, Charlotte Nilsson and Måns Zelmerlöw. Linnea Deb: Songwriter of "Heroes" with Joy Deb and Anton Malmberh Hard af Segerstad. Former backing vocalist behind the likes of Ace of Base, Carola and Metallica. Performed on the album versions of songs such as Carola's "Evighet" and Måns Zelmerlöw's "Cara Mia" and "Hope & Glory". Alexander Holmgren: Finished sixth in the X Factor in 2012. Has toured with Mans Zelmerlöw. Works mostly as songwriter. Jeanette Olsson: Has been backing vocalist at Melodifestivalen behind, among others, Fredrik Kempe in 2004 and Linda Bengtzing 2008. Third in the Eurovision 2001 with Antique. Her voice can be heard on albums by artists such as Britney Spears and Kate Ryan. We have already reported that Sarah Dawn Finer and Christer Björkman will host this year's Swedish preview show "Inför Eurovision Song Contest". Now it has been revealed they will be joined by panel of Kristin Amparo, Tess Merkel and Eric Saade. Shows will be aired at 21:00 on 21 April (Moldova-Macedonia, France, Australia), 28 April (Serbia - Georgia, Spain, Austria), 5 May (Lithuania-Czech Republic, Italy, UK), 12 May (Israel-Poland, Germany). In program 2-4 viewers will also meet Måns Zelmerlöw and will be updated in his preparations. 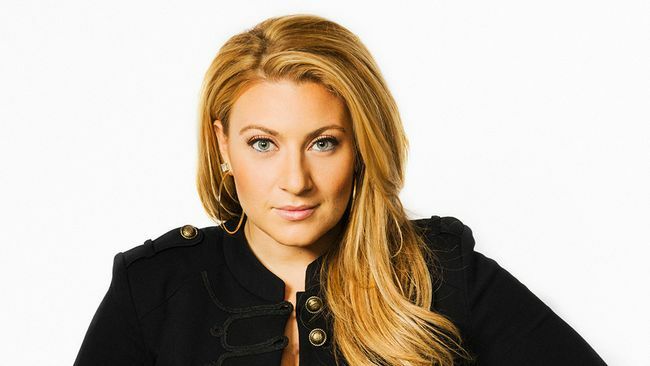 Sarah Dawn Finer to host "Inför Eurovision Song Contest" program alongside head of delegation Christer Björkman, who will act as Eurovision expert in the show. Dawn Finer competed twice in the Melodifestivalen and in 2012 was the host of the show alongside Gina Dirawi and Helena Bergström. 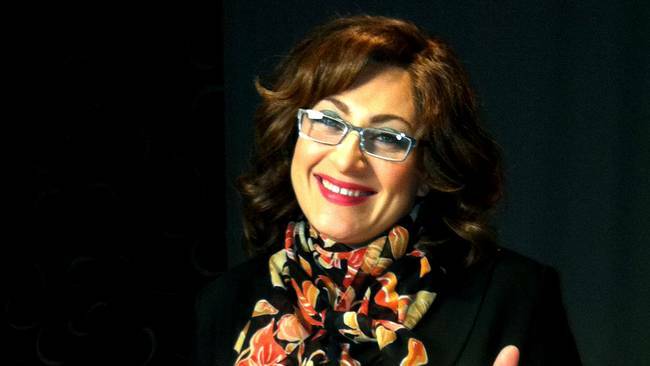 Her character Lynda Woodruff was a huge success in Europe during ESC 2012 preparations and organization of Eurovision 2013 in Sweden, when she also performed "Waterloo" in the final of the competition. Now, Sarah Dawn Finer is back to the Eurovision again. 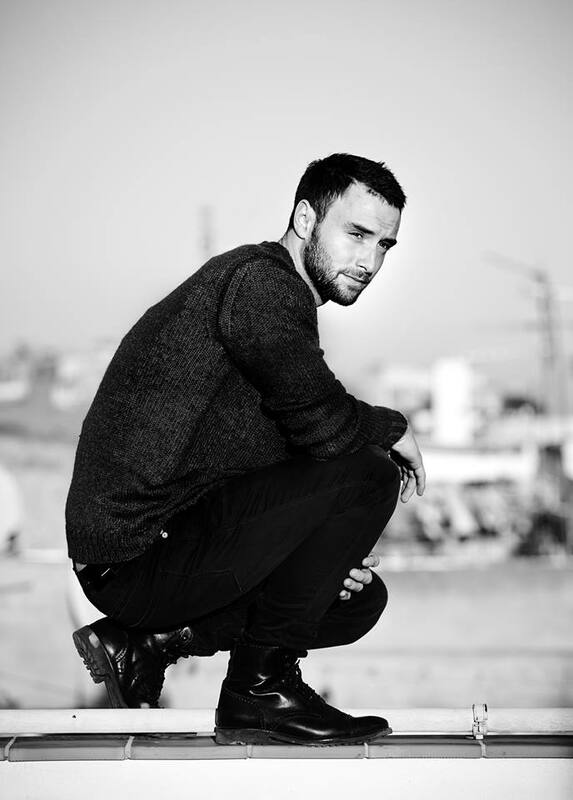 Besides reviewing participating entries, the program will also follow Måns Zelmerlöw in his preparations for the ESC. But it was not the end of Lynda Woodruff character too, she will act as the red carpet reporter and interview all participants in the Swedish broadcast of the show, which will be commented by Sarah and Christer from the studio on London. "Among the most common questions I get is "Will Lynda come back?" and "Will I compete in Melodifestivalen again?". When it was mentioned that SVT would make a setting to 60th anniversary with red carpet so we began to brainstorm on how to do and then it was quite obvious that Lynda would be a great fit as a red carpet reporter sent from the EBU. I love playing Lynda and I love that there are so many people who like her. So I take the opportunity with joy", says Sarah Dawn Finer. "Before the Eurovision" will be broadcasted in four parts, starting April 21 at 21:00 in SVT1 and SVTPlay. "Eurovision Song Contest celebrates 60 years" will be broadcasted on April 4: Pre-show at 21.25, Gala concert at 21.45 and After-show at 23:20 on SVT 1 and SVTPlay. 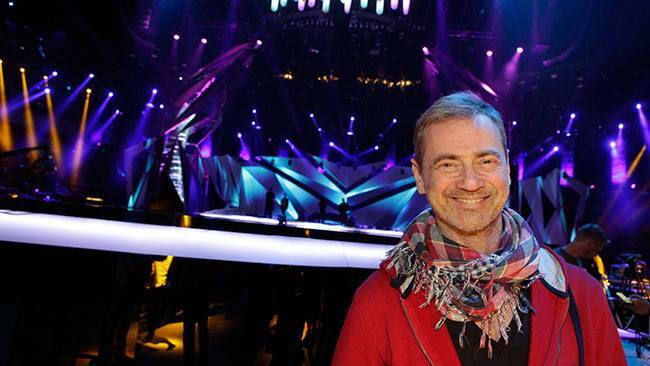 Head of Swedish delegation at Eurovision Christer Björkman has formulated the task for Måns Zelmerlöw, Swedish representative in the contest of this year. modestly rated head of Swedish delegation the challenge. 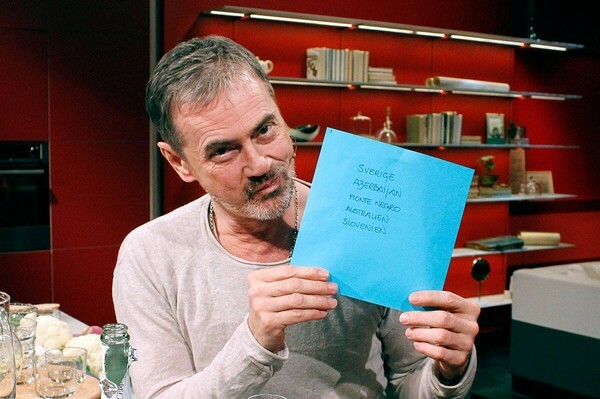 In an interview with Austrian television Björkman tried to avoid speculation about a possible victory of Sweden in the competition. "Statistically, each country can triumph about once every 40 years. Therefore, any place that is above tenth, for us is to be recognized as an absolutely great result". Earlier in an interview with Swedish television producer said that among the heads of delegations of other countries Sweden is regarded as an absolute favorite of the competition. "Almost every one of them names Sweden as a favourite, while adding also some other countries to the list, but these other countries are constantly changing, for example, it may be Italy or Estonia. But no other country was mentioned by almost everyone as regularly as Sweden". The producer also expressed his opinion about countries which will eventually finish in the top five of the Eurovision Song Contest 2015. In his opinion, a company for Sweden in top 5 will be provided by Azerbaijan, Montenegro, Slovenia and Australia. We remind that Christer Björkman is engaged in organization of national selection Melodifestivalen and the preparation of the representative of Sweden for Eurovision already for 14th year, and during the international competition in Malmö in 2013 was it's show producer. Despite the fact that the starting number 13 is considered unlucky, and also goes right after a commercial break, which is considered by fans of the contest unfortunate position (though not completely proved statistically) Björkman is fully satisfied. "This is a very good starting number. We will open the last act of performing artists and it is very good on all accounts. We look forward to it", he said. Spokesman of Måns Zelmerlöw Helena Wigren has confirmed to Expressen that the staging of Måns Zelmerlöw was completely approved by the organizers of the show. "There are no problems in the use of our stage presentation in Vienna. We will be developing it based on the way it looked in the Melodifestivalen", she said. As performer himself had previously stated: "Even before the final we were thinking about including more pyros. Now we will probably consider this issue once again". ""I'm very confident with the number, and people obviously liked it, and I was the point. So I don't think we're gonna change it that much", said the performer speaking to ESCKAZ.com. "I'm gonna give my all to place as high as possible, I would really want to bring the contest back to Sweden. And I think that Heroes is definitely the song for Europe", added the singer. SVT has published detailed voting results for all heats of Melodifestivalen 2015. Voting in the semifinals was divided in two rounds: in first round votes through free app were counted along with SMS and telephone votes, while only paid votes through SMS and phone counted in the second round. The winners were decided by combination of votes scored in both rounds. In the national final only paid votes counted. In total, 14,426,739 votes were received during the Melodifestivalen 2015 and 6.62 million crowns donated to Radiohjälpen. During Saturday's finals app stopped working about half an hour into the program. The study has shown that the problem was caused by an overload in the system. "I am incredibly disappointed and this must not happen. But now that it happened, I am grateful that we had such a clear winner with telephone and SMS. Voting is our greatest credibility issue and when I realized that the app did not work as it should, we made ​​a quick decision to reset all heart voices. Amidst all this, we are nevertheless pleased with the commitment that the app has been created", says SVT's Christel Tholse Willers. In Semifinal 2 Magnus Carlsson lost in the first round, but managed to score just enough of votes to beat Samir & Victor with the narrowest margin of 434 votes to qualify directly to the final. The smallest margin in Melodifestivalen 2015, however, was between 6th and 7th placed Emelie Irewald and Marie Bergman & Sanne Salomonsen in Semi 2, they were separated only with 211 votes. Highest percentage of the vote in his semifinal scored Eric Saade, who got 36.71% of the evening's 1,222,692 votes. But he can not match Yohio's record from Karlskrona 2013 who got 47.2% of the votes in his show. Most actual votes in a Semifinal in 2015 got Mans Zelmerlöw with his 771,423 in semi 4. Mans Zelmerlöw received 545,601 telephone votes in the final, which is the second highest price ever. Loreen has had 670,551 telephone votes in her year. JTR gathered together only 14,236 phone votes in the final, being the lowest figure since Popson received 7559 phone votes in the final of Melodifestivalen 2001. If the counter was reset to zero, and only votes in the second round were counted, Elize Ryd & Richard Soderberg would have qualified to the final directly, with first round app votes they finished only 5th. In the second Semi Linus Svenning would have won the show, and in combination of votes he has qualified to the Second Chance. The lowest number of votes in the Melodifestivalen 2015 with the app in use scored Daniel Gildenlöw. At that stage, however, fewer people have downloaded the app than later in the program. "I was quite sure that Jon Henrik would take it, because I do not win contests. I still remember winning the jury votes in 2009 and it went completely wrong track then. So I sat and counted on if I could win even if Jon Henrik received the most votes from the Swedish viewers", said Måns, who also won the Swedish people's voices by landslide. "It is absolutely incredible to get that support. Since I missed the support of the Swedish population in 2009 it really mattered this time. Getting comeback and celebrate 10 years as a performer to win, it's amazing". Now begins the build up to Eurovision Song Contest and there are plans to add something new in the staging. "Even before the finals, we were inclined to add pyros but skipped it but now maybe I should rethink it again", says Måns. There has been some concern about whether he will be able to use the projectors, but head of delegation Christer Björkman assured that this will not be an issue. "I think it is doable. I can not see if there was something based on my experience that would prevent anyone from getting in their own projectors and finding a place for it. It will be solved. If we could you solve the exploding glass cages in Düsseldorf, so we probably can manage to get to projectors in Vienna, I think". During Melodifestivalen, in "Heroes" was used prerecorded children's choir. Christer Björkman do not see the change as a major problem either: "We may bring in five backing singers if we need to. One can solve it with 16 year olds who have young voices, or we can do another choral arrangements. It is possible to solve". 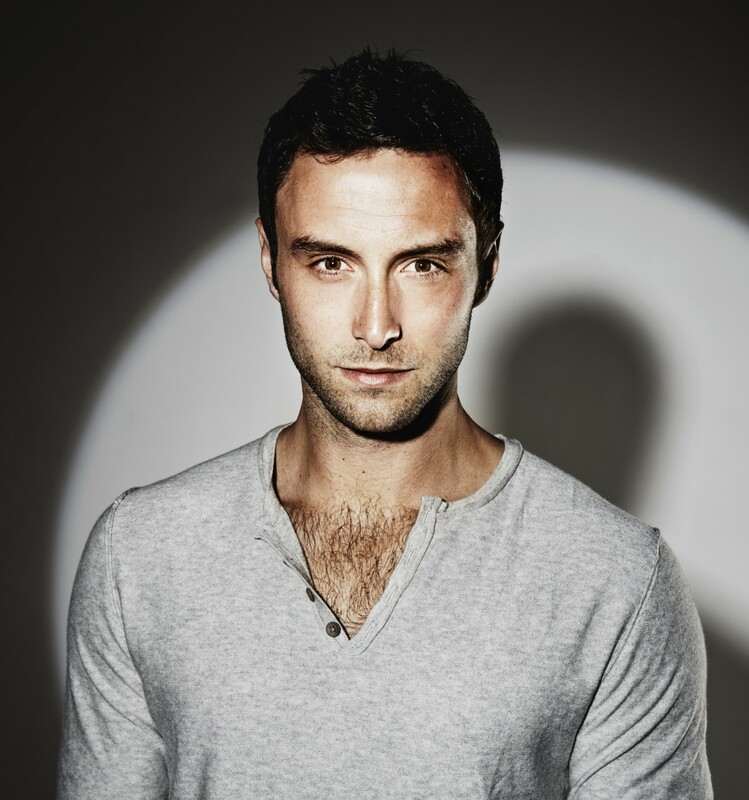 Måns has already had time to check out their opposition in the Eurovision. "First and foremost, we focus on the semi-final of May 21 I went in and checked the odds and it feels good. Estonia, Italy and Sweden are favorites". Slightly pushed by the host of Gomorron Sverige Alexander Noren Måns has declared: "Yes, I think we have a very good song. I will win Eurovision". 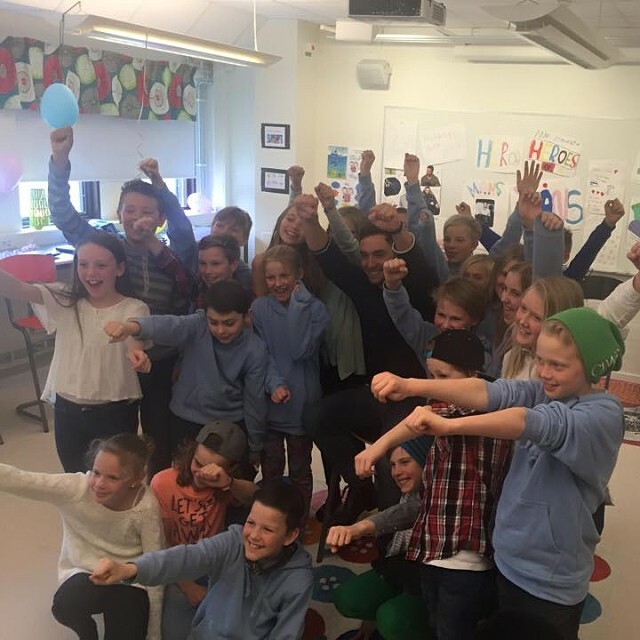 During the build up to Melodifestivalen Final Måns Zelmerlöw has visited Class 5A at Kulturamas school in Hallonbergen. Via social media Måns Zelmerlöw has invited his fans into a competition on anti-bullying. The participants had to submit 15 seconds videos via Instagram and the response was tremendous. In two days he got about 600 entries. After having looked through them he chose two winners of which Class 5A at Kulturama in Hallonbergen was one and Class 4C at Sand Plan School in Hollviken - another. 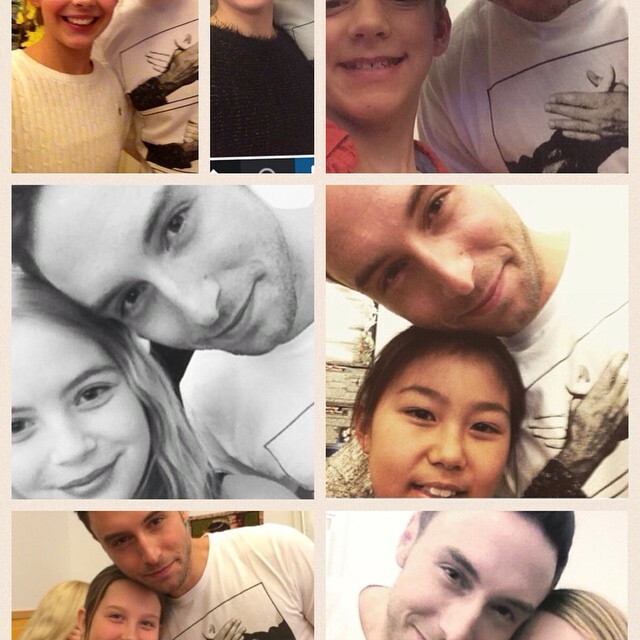 Last Thursday Måns has visited the first of classes and performed his song together with them. "It was a spontaneous thing I thought on Sunday evening that it could fit into my message that I come out to any school and talk with them about anti-bullying. I had decided to close the contest on Tuesday afternoon. On Monday evening we had received 27 grants with videos and I was super happy. Then on Tuesday between 600-900 videos came in and I was looking through every single one of tghem. There were so many entries that I almost started crying and the movies were so nice. Perhaps this action can at least plant a seed against some bullies out there", says Måns. Class 5A's movie showed three groups: a group who bullied, one who is bullied and one that gives up. Mans Zelmerlöw praised the class to have done a fantastic contribution. "It was a bit like an action movie with super heroes who came up and said stop", he said. He tells that he himself was ostracised in fifth grade and sixth grade. Before that he had been part of a group of friends. "In fifth grade there appeared a boy in my class who did not like me. He took my friends away and got them to turn against me. 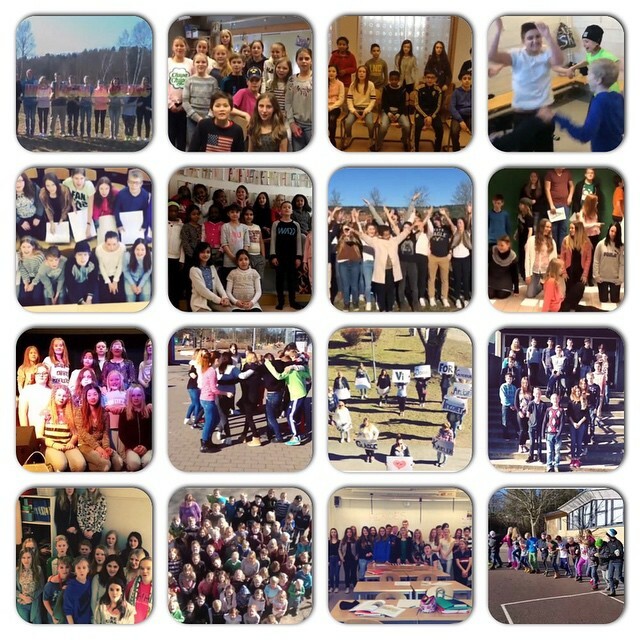 At the end of fifth grade, I had no friends at all". The bullying continued throughout the sixth grade but was broken in the seventh grade when he got a new friend. "We spent together most of the time. He made sure I got back my old friends. Today, they are a bunch of my closest friends". Several students also told about bullying which they previously experienced. "It is so common and hurts so deep. Bullying must be removed. It is so tremendously important that everyone is respected for who they are", said Mans Zelmerlöw who told me he was shy and a bit special as a child. He had mice, hamsters and parrots as pets. He cultivated tomatoes and walked around in sweatpants until the sixth grade. The school specializes in music and drama, and many children often go on auditions and participating in productions. "I did audition for "Mama Mia" and Björn Ulvaeus and Benny Andersson sat in the jury. I had not known that it was an Abba Musical and went in and drove an old musical ballad. I realized then that it was the last thing to perform at such audition. They only said: thank you". 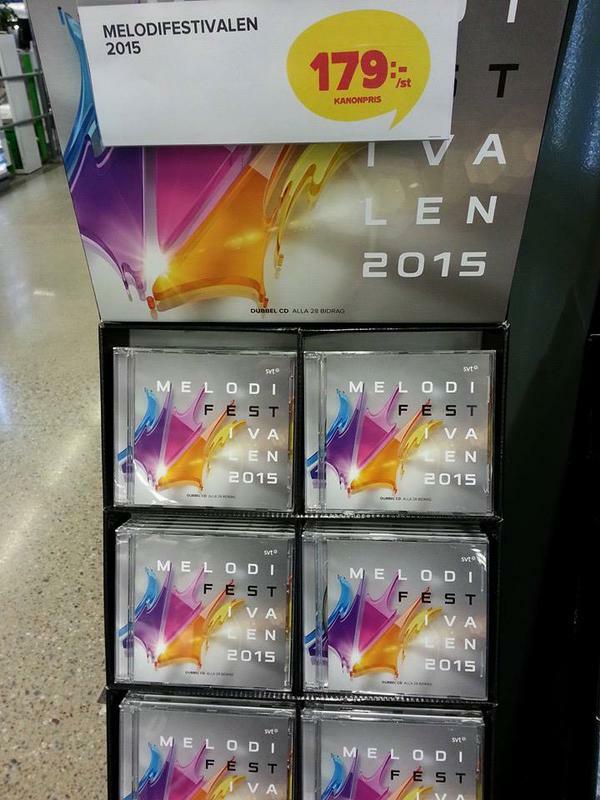 The last Melodifestivalen semifinal will take place only on Saturday, but already on Tuesday Melodifestivalen album was spotted on sale at Coop store in Örebro. According to the rules, neither 6 songs that qualified directly to the final, nor participants of the 4th semifinal may not be released before the end of the show on Saturday. Louise Stephan, Coop press-officer, explains the error with human factor, and informed Aftonbladet that the CDs have been taken away as soon as the mistake was reported. She was unable to provide information if any CDs were sold, stating they were on sale just for few hours. "We can only regret what has happened", she says. Camilla Bjering von Zweigbergk of Warner Music, which distributes the CD, explains what had happened in the same way, saying that of course, a CD is manufactured, packaged and distributed before it can be sold right from the Saturday night. "It is clear that someone out there can misunderstand the instructions we gave". The Melodifestivalen voting app has been downloaded more than 22.000 times, however, SVT has admitted, they have managed to discover a bug that makes it hang with the voting just minutes before the start of the show. "I'm glad though that this happened before the broadcast, so we could gather more data about it during the show", says Christel Tholse Willers, head of Melodifestivalen. In scrolling between multiply apps the voting function was freezing, but the problem could have been resolved when the app user clicks on the menu and goes back to live mode. "There was a miss. It has been tested enormously, but such things happen. It will be fixed for the next week", says Willers to Expressen. Number of fans of the show have appealed that the voting app was not working until some time in the third entry, thus making first three performers affected. However, SVT deny these claims and admit only general bug that had no special effect on the entries in the beginning of the order. "We are confident that the result of the show is correct. We can compare the SMS voting turnout, with the one from the app. And they perfectly match", says Christer Björkman, Executive Producer of the show. Wednesdays, 12-18: Text coverage from first off-stage rehearsals, followed by first press listening. Wednesdays, 11:30: Entries Bible: song's lyrics, list of special effects and props used, names of all dancers and singers etc. Thursdays, 11-17 (after performers have rehearsed): Watch and listen to 30 seconds of each artist's rehearsal (compared to 60 seconds in 2014). Fridays, appr. 22.00: Results of public-poll at dress-rehearsal. Saturdays, 14:00: Participating songs will be published in a studio versions (likely 2:30 cuts). Saturdays, 20:00-21.30: The show airs live with chat from the green room. Chat with all the artists directly after their performance. Chats with participating artists, hosts and special guests at the various times. Check more detailed schedule for 1st semifinal in Göteborg. 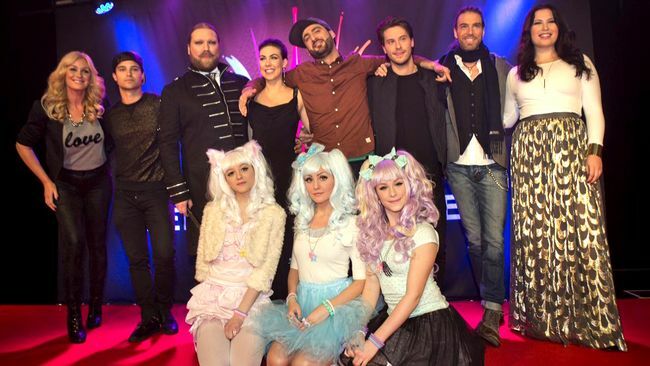 Line-up of Melodifestivalen "huskör" and "husdansare" (backing vocals choir and dancers) has been revealed. They will be seen on stage in almost all entries of the national selection. This year line-up of Melodifestivalen backing group has been renewed by half. Simon Lingmerth and Carin Mårtensson have remained part of the show since their debut in Melodifestivalen 2014. Last year, Carin was featured in performances of Janet Leon, Linda Bengtzing, Mahan Moin, Manda, Josef Johansson etc. Her earlier appearances included backing Charlotte Perrelli in 2012 and Swedish House Wives in 2013. Simon Lingmerth rose to fame taking part in Idol 2010 and it's easier to name artists whose performances didn't feature Simon Ligmerth last year than those which did. He sang backing vocals to not less than 20 acts of the show, ranging from Anton Ewald, Alvaro Estrella, Oscar Zia to Outrigger and Alcazar, to Helena Paparizou, Ace Wilder and Shirley Clamp. For Mia and Edin this is a debut as official backings of the show. Mia Stegmar has performed in MF 2004 as part of group Itchycoo. Edin Jusuframic was backing dancer for Danny Saucedo in MF 2012, he is also one of the dancers of "Complete" formation which has staged several own dance shows. "There was not very much dancing last year, but now it will be more. What's fun about this job is that it is a real situation, sometimes you have to take on-stage solutions with rapid changes. You are getting used to working under pressure", says Carin. "Before last year I had only been with part of show as the external dancer. Then you are hired by a record label and will be taken care of. Now I have to take care of most things myself", she adds. This year again, choir and dancers will be involved in more than 20 of the entries, however, sadly "huskören" once again will be often located behind the stage. "Many people wonder if we would not like to stand in front, not having to stand in the limelight has its advantages. Everyone else has more pressure on them, and we just need to go out doing what we are pretty damn good at and spread our energy", says Mia. His opinion about "huskör" line-up has shared with us expert in this field Jevgēnijs Obručevskis: "In the past three years, SVT has decided to relaunch the line-up of the MF choir that stayed familiar over the years, inviting to it several new backing vocalists. As we have seen, the broadcaster has abandoned the classical scheme of choir of 2 male and 2 female singers, citing economic reasons, as well as allowance since 2009 of the use of prerecorded backing vocals. However, some artists continue to invite well-known back-up singers from the MF choirs of past years as additional support performers. Last year we could have noticed on MF stage such singers as Jessica Marberger, Thérèse Löf Amberg, Caroline Jönsson, Johan Röhr. I look forward to the appearance of some of the "Choir All Stars" this year. Debutants of the choir have established themselves in 2014 quite well, and that probably was the reason that two of the four members of the ensemble will continue their work in it". "There is still a hope that, given the structure of the Melodifestivalen 2015 stage, this year the practice of positioning backing vocalists and choir members behind the stage will be minimized and back-up singers will more often work directly on the stage, rather than behind it. It applies not only to Melodifestivalen, but also to the main Eurovision - unfortunately, the contest in Copenhagen to the large extent picked up on this rather unfortunate experience. Though Sweden should be proud of it's backing vocalists, invited for Eurovision participation also to various other countries, including regularly Russia and Azerbaijan." As usual, Swedish Eurovision entry will be selected through the "Melodifestivalen 2015" format, where 28 songs will compete in a six week long process of four semifinals on 7, 14, 21 and 28 February 2015, a "Second Chance" round on 7 March 2015, and a final on 15 March 2015. 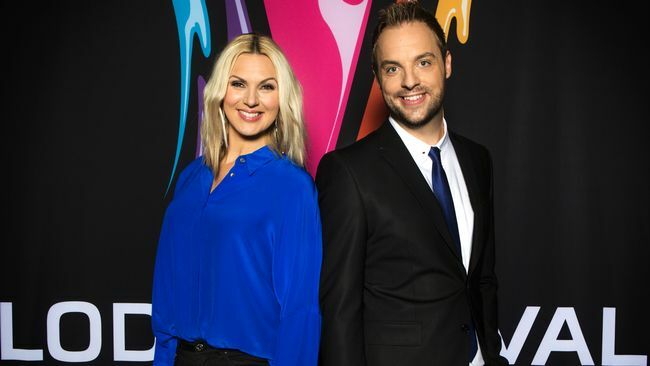 All shows will be hosted by 2014 Swedish Eurovision entrant Sanna Nielsen and comedian Robin Paulsson. Submission period run from 1 to 16 September 2014. 2177 compositions were submitted, which is the record number for any country, competing in Eurovision 2015. Of them 1733 were submitted to "Regular contest" and 444 for "Public contest" (for previously not published songwriters which produced just 1 entry for Melodifestivalen 2015). Regulations included a requirement that 50% of 2015's contributions come from female songwriters (a rise from 20% in 2014). Moreover, 30% of the songs will have to be sung mainly in Swedish. The first confirmed artist for Melodifestivalen 2015 was Kalle Johansson who won the Swedish competition songwriters and artists organized by Swedish Radio 4, Svensktoppen nästa, on 31 August. Other participants were revealed during press-conferences on 24 and 25 November. Among the competing artists are former Eurovision Song Contest contestants Eric Saade who represented Sweden in 2011, Jessica Andersson who represented Sweden in 2003 as part of the duo Fame and Marie Bergman who represented Sweden in 1971 and 1972 as part of the group Family Four as well as in 1994 performing in a duet with Roger Pontare. Read more about the participating artists here (in Swedish). Melodifestivalen tickets are available on ticnet.se. In a change compared to previous years: Seven songs and not eight will compete in each semifinal - the top two will qualify directly to the final, while the third and fourth placed songs will qualify to the "Second Chance" round. An additional four songs, winners of 4 "duels", will qualify to the final from the "Second Chance" round - thus there will be 12 songs instead of 10 in the final, making it the largest Melodifestivalen Final since 1997. One more change is that entries qualified to "Second Chance" can get radio airplay immediately after the semis, while direct finalists will have to wait until the end of Semi 4. Limit of 20 votes per song will also be applied this year, however one can vote for as many songs as he wants per show. 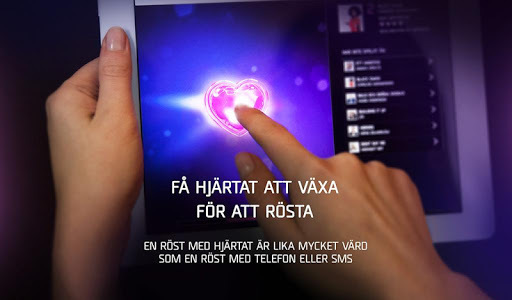 With newly introduced Melodifestivalen mobile app fans will be able to vote for free during the time each song is performed in the broadcast. It will also show for whom your Facebook friends are voting and how people are voting in different parts of Sweden. One can vote absolutely for free up to 5 times while the song is still being performed (please have in mind that watching show online, there is a usual delay of about 40 seconds in the broadcast). The number of votes that you give is related to the intensity of finger pressure on the app's beating heart. To achieve the five votes one needs a stronger pressure on the display. Heart Votes are worth as much as votes by telephone and SMS. In the live broadcast on television, it will be seen how intensely everyone else who has the app votes. The app is available for download in the App Store, Google Play and Windows Phone Store starting 4 February. Melodifestivalen 2015 stage will be one of the biggest in contest history. It is 24 meters wide and 21 meters deep and has 40 pieces of semi-transparent tubes making it unique. Each of them are 4-6 meters long with built-in lights called "auras" and will hang in rows above the stage directed towards the audience. Usual feature of the stage are LED panels, and even stage floor and sides will have them to add to the effect. The stage has been designed by Frida Arvidsson and Viktor Brattström, and they say they tried to build in as much lights to the stage as possible. Read more about the stage here (in Swedish). The greenroom this year will be relocated closer to the stage. During the final it will be located in the middle of the parquet and there will be more people allowed in the greenroom than before. International juries for the final: Armenia (Gohar Gasparyan), Austria (Conchita Wurst), Belgium (Axel Hirsoux), Cyprus (Klitos Klitou), Estonia (Mart Normet), France (Bruno Berberes), Israel (Moshe Morad), Malta (Daniel D'Anastasi), The Netherlands (Hendrik Bakhuijsen), Slovenia (Maja Keuc), UK (Simon Proctor). Монс Петтер Альберт Сален Зелмерлёв родился 13го января 1986 года в Лунде в Южной Швеции. В детстве его мама отправила на курсы Африканского танца, а отец - на уроки игры на фортепиано, на которых юный Монс, правда, продержался не очень долго. Зато он сам, под влиянием своих друзей, научился играть на гитаре. В седьмом классе он побеждает на конкурсе для юных талантов, после чего переходит на новую образовательную программу, совмещавшую науки с усиленным занятием музыкой, начинает петь в школьном хоре и играть в различных школьных сценических постановках. В 2002 году он играет роль одного из братьев в постановке мюзикла "Иосиф и его удивительный, разноцветный плащ снов" в Slagthuset в Мальме, который дал 128 аншлаговых представлений. Еще до окончания школы Монс играет роль Сеймура в "Shoppe of Horrors" в постановке муниципального театра Лунда. В октябре 2008 года он начинает занятия на экономическом факультете института. Прорыв приходит к Монсу в 19 лет, когда он принимает участие во втором сезоне шведского шоу "Идол", выходящего в эфир телеканала TV4, где он занимает 5е место, покинув шоу после 8 недель эфиров. На шоу он исполняет песни Энрике Иглесиаса, Westlife, Робби Уильямса, Roxxette, Магнуса Угглы, Дана Хартмана, Тома Джонса, U2 и Hoobastank. В 2006 году он принимает участие в 1м сезоне танцевального проекта "Let's Dance", и вместе со своей партнершей Марией Карлссон одерживает на нем победу. В 2006 году Зелмерлёв играет заглавную роль Данни в постановке мюзикла "Grease". Также в этом году он подписывает договор с лейблом M&L Records, подразделением Warner Music Sweden, на выпуск сольного альбома. В 2007 году Зелмерлёв дебютирует на Melodifestivalen, шведском национальном отбора на конкурс Евровидение, заняв в нем третье место с песней "Cara Mia". Песня также одерживает победу на фан-конкурсе "ОГАЕ Второй Шанс", а в России ее версию "Королева" выпускает Филипп Киркоров. Дебютный альбом Зелмерлёва "Stand by For..." выходит вскоре после шоу, достигая первой строки национального чарта, и получая платиновый сертификат от IFPI. С альбома выходят четыре сингла, все входящие в топ 50. В сентябре альбом также выходит в продажу в Польше и Зелмерлёв принимает участие в туре "Hits On Time", который организует Radio Eska и выступает в качестве гостя на польской версии программы "Танцы со звездами". 5го октября 2007 года Монс является ведущим национального отбора на Детское Евровидение "Lilla Melodifestivalen". Он также продолжает работать в мюзиклах, исполняя роль Томми в "Footloose". В 2008 году он участвует в туре Diggiloo вместе с известными шведскими артистами. В Польше он выступает на гала-концерте "Eska Music Awards", на фестивале в Сопоте, и вновь в туре "Hits On Time". В 2008-2011 в Шведкой прессе регулярно появляются материалы о его взаимоотношениях с певицей Марией Сернехольт, бывшей солисткой группы A-Teens. В 2009 году Зелмерлёв возвращается на Melodifestivalen, занимая 4е место с песней "Hope & Glory", несмотря на победу в голосовании жюри (перепета Филиппом Киркоровым в России как "Ты все увидишь сам"). Второй альбом исполнителя "MZW" выходит в продажу в конце марта, также достигая первой строчки шведского чарта, и получает золотой сертификат от IFPI. В 2009 году Монс дает летнее турне по Швеции, также принимая участие в 32 рождественских концертах. В ноябре выходит альбом "Christmas With Friends". В 2010 году Зелмерлёв становится ведущим отбора Melodifestivalen вместе с Дольфом Лундгреном и Кристин Мельтцер. После успешного дебюта в качестве ведущего, в 2011-2013 он также ведет программу "Allsång på Skansen", выходящую в эфир SVT. Весной 2011 года он исполняет роль Ромео в мюзикле "Romeo & Juliet". Второй рождественский альбом "Kära vinter" выходит в 2011 году. В 2013 году Зелмерлёв принимает участие в Melodifestivalen в качестве автора песни, композиция "Hello Goodbye" в исполнении Эрика Сегерседта и Тоне Дамли выходит в раунд "Второй Шанс". В 2013 году он также исполняет заглавную роль в мюзикле "Spök". Третий студийный альбом Зелмерлёва "Barcelona Sessions" вышел в продажу 5го февраля 2014 года, его выпуску предшествовали синглы "Broken Parts", "Beautiful Life" и "Run For Your Life". Альбом достигает 3й строки национального чарта. "Heroes" - третья попытка Зелмерлёва в Melodifestivalen в качетсве исполнителя. Сингл на песню вышел в продажу 28го февраля 2015 года, и до финала смог достичь первой строки шведского чарта. Первоначально, планировалось, что певец выступит на отборе с одной из композиций собственного авторства, но лейбл предложил ему песню "Heroes", на что тут же было получено согласие. На национальном отборе в номере Монса использовались 4 бэк-вокалиста, работавшие за сценой, Симон Лингмерт, Линнея Деб (со-автор песни), Александр Холмгрен и Микке Бломквист. На Евровидении Симона заменят опытные бэк-вокалистки Бритта Бергстрем и Жанет Олссон. "Песня говорит о том, что мы все можем быть героями, и сделать что-то, направленное на улучшение нашего мира. Мы не должны слушать тех, кто выступает против, мы должны подавать пример своим поведением своим детям. Один из режиссеров нашего номера Фредрик Рюдман, основывал его на настоящей истории моей жизни. Когда мне было 11-12 лет, у меня были большие сложности в поиске друзей, и в шоу показано, как одинокий ребенок пытается приспособиться, и в конце концов ему удается вернуть своих друзей, как это и случилось со мной"
Комментаторами Евровидения на SVT 1 выступят Санна Нильсен и Эдвард аф Силлен. Участница Melodifestivalen 2015 Мариетт Хансен огласит результаты голосования жюри Швеции. Делегация Швеции на Евровидении предоставила для публикации ответы Монса Зелмерлева на часто задаваемые вопросы. - Как вы впервые заинтересовались музыкой и какие артисты больше всего повлияли на вас? - Все началось с того, что я начал брать уроки игры на фортепиано, почему-то мои родители подумали, что будет хорошей идеей. По-правде говоря, мне это никогда не приносило удовольствия. Потом мой друг начал брать уроки игры на гитаре, так что я присоединился к нему, и именно тогда я начал петь. В школе я понял, что пение было тем, что мне нравится и в то время я начал мечтать о карьере исполнителя. Когда я начал заниматься в музыкальном колледже, мой друг привел меня на прослушиваниях шведского Idol, в котором я в итоге занял 5е место. - Считаете ли вы участие в шоу Idol большим прорывом для себя? - С какой-то стороны. Но на этом все могло и закончиться, потому что я был в то время очень ленивым, и у меня недоставало драйва для того, чтобы продолжить двигаться по этом пути. После Idol я был готов вернуться в свой родной город Лунд, чтобы продолжить учиться. Но когда мне было предложено принять участие в первом сезоне шоу "Let's Dance" (Танцы со звездами), и я победил в нем. И после этого мне предложили песню Cara Mia для исполнения на Мелодифестивалене 2007. Таким образом, Let's Dance, возможно, имел еще большее значение для моей карьеры, чем Idol в каком-то смысле. Но, конечно, я бы никогда не попал на Let's Dance, если бы не Idol, так что все взаимосвязано. - Какую музыку вы слушаете и что влияет на вас? - Я слушаю все виды музыки, как для собственного удовольствия так и, конечно же, для вдохновения. Мои любимцы: Coldplay, Джастин Тимберлейк и шведские исполнители, таке как Вероника Маджио, First Aid Kit и Мелисса Хорн. Мой последний альбом, Barcelona Sessions был во многом вдохновлен творчеством Coldplay и Джона Майера. - Что привело вас на Melodifestivalen в этом году, и всегда ли у вас было желание вернуться на это шоу? - Моей мечтой всегда было представлять Швецию на Евровидении. Прошло уже есть лет с того момента, как я принимал участие в нем с синглом Hope & Glory, и теперь мне показалось, что как пришло подходящее время, так и особенно, что я нашел именно ту песню, что мне показалась весьма мощной. Изначально я писал несколько песен для участия в Мелодифестивалене другого артиста, и когда я пришел в звукозаписывающую компанию, чтобы дать им послушать свой материал - в свою очередь они предложили мне прослушать Heroes. Я был заинтригован, потому что это потрясающая песня, и несколько напоминает то, что я дела в Barcelona Sessions, но в то же время давало мне возможность быть таким артистом развлекательного жанра, как мне всегда хотелось. - Сразу ли вы почувствовали единство с песней Heroes? - Я почувствовал, что отличная песня, но я не сразу стал уверен, что она сможет подойти своему голосу. Я все еще думал о той музыке, которую я делал на альбоме Barcelona Sessions - а это несколько более рок-вещи. Но тогда люди, близкие мне, напомнили, как все-таки я сильно люблю выступать с быстрыми песнями, и я почувствовал, что Heroes имеет потенциал добиться действительно заметного успеха. - Как вам работалось с Линней и Джоем Деб, которые написали такие хиты, как "You" и "Busy Doing Nothing"? - Просто отлично, они настоящие гении. Но на самом деле, они не писали Heroes для меня. (Шведский исполнитель и бывшая звезда Idol) Йенс Хулт был тем, кто пел на демо-версии песни, и он сделал замечательную работу. Потом мне предложили попробовать спеть эту песню в студии. Это далось не так легко, но, когда я приступил к работе, то Джой Деб был весьма доволен. Я могу также добавить, что вместе с Джоем и Линнеей песню написал Антон Хорд аф Сегерстад. - Вы говорили о том, что Heroes напомнили вам песни таких исполнителей как Давид Гетта и Avicii. Как вы думаете, могут ли Heroes стать так же популярны в Европе, как и песни, выпускаемые ими? - Да, это абсолютно песня в том же жанре, и EDM действительно популярны сейчас. Я абсолютно согласен с тем, что Heroes могут направляться к большим успехам, потому что это действительно сильная песня. Это песня со своей собственной идентичностью и очень хорошо написанная. - Кем является для истории песни рисованный персонаж в вашем выступлении? - Это песня о том, что кто-то может быть образцом для подражания и героем. И вот это мы и постарались проиллюстрировать на сцене мультипликационным персонажем "MP". Я беру его в свое сердце, и это делает его сильнее. История номера основана на моем собственном опыте в средней школе, когда я потерял некоторых друзей из-за хулигана в своем классе. Я должен был найти нового друга, и осенью он, к счастью, пришел в наш класс. Его общество дало мне силы противостоять тому мальчику, который издевался надо мной, и это помогло мне снова вернуть к себе своих старых друзей. Анимированый персонаж "MP" (расшифровывается как Монс Петтер) представляет собой молодую версию меня, и я представляю того нового друга, что помог мне постоять за себя. - Какие изменения на сцене, незначительные либо серьезные, мы можем ожидать на конкурсе в Вене? - Анимированый персонаж MP получит новый имидж, и, возможно, несколько новых атрибутов. Также со мной будет новый состав бэк-вокалистов. Александр Хольмгрен и Микке Бломквист уже выступали со мной на шведском финале, а теперь к ним присоединятся еще и Бритта Бергстром, Жанетт Олссон и Линнея Деб, которая также является потрясающим композитором. - Как вы относитесь тому, что вы считаетесь фаворитом Евровидения? - Всегда интересно представлять Швецию, как один из самых любимых конкурсных стран. И это здорово, чувствовать в себе поддержку песни. Но при этом, безусловно, нас ждет жесткая конкуренция. Лично я думаю, что Италию будет очень трудно превзойти, и с Австралией тоже будет нелегко. Гай Себастиан - прекрасный исполнитель, и я считаю, что замечательно, что Австралию представляет настолько крупная звезда. У Азербайджана также очень хорошая песня. - А считаете ли вы себя самого фанатом Евровидения? - Да, я всегда смотрел и любил Евровидение. Когда победила Лорен, я ходил на городской праздник, он был просто сумасшедшим. Самому представлять Швецию на этом конкурсе - это просто потрясающе. - В таком случае, каковы ваши любимые песни из прошлых лет Евровидения? - У меня их масса! Я люблю песню Верки Сердючки "Dancing Lasha Tumbai". Это абсолютно удивительная песня. Я также люблю баллады, как, например, песни Йоханны "Is It True" и Пасторы Солер "Quedate Conmigo". И, конечно, Ингу и Ануш с "Jan Jan" и Urban Symphony с "Rändajad". - Были ли у вас какие-то любимые песни в "Мелодифестивалене 2015" кроме вашей собственной? - Да, мне очень понравилась песня Mariette "Don't Stop Believing" и Молли Петтерсон Хаммар "I'll be Fine". Две замечательные песни и два такие же потрясающие певицы. - Какие из песен Швеции на Евровидении вам нравятся больше всего? - "Euphoria" Лорен, конечно, и "Se på mig" Яна Йохансена с 1995 года. - Я слышал, что вы были одним из первых людей, которые поверили в Лорен? - На самом деле, я даже открыл свою звукозаписывающую студию Mohito Records ради нее. Она очень много пела на демозаписях в нашей студии и я и моей коллега Мох (Денеби) смогли разглядетьв ней что-то потрясающее. Таким образом, мы подписали с ней контракт, начал продвигать ее на Melodifestivalen с песней "My Heart Is Refusing Me", и, в конце-концов, нам это удалось. А через год она выиграла все Евровидение с "Euphoria". - Как вы сейчас относитесь к песням "Cara Mia" и "Hope & Glory"? - Я всегда их исполняю на концертах. У меня есть три больших хита, и было бы эгоистично с моей стороны не петь их. Люди хотят их услышать, и я до сих пор получаю большое удовольствие от выступления с ними, особенно тогда, когда толпа подпевает мне. Песню "Cara Mia" сейчас знают большинство жителей Швеции. - Будете ли вы выступать с промо-туром в Европе, принимать участие в мероприятиях, таких как "Eurovision In Concert" или "London Eurovision"? - Да, я выступлю как на вечеринке в Амстердаме, так и в Лондоне. Помимо того, мы хотим принять участие еще в нескольких крупных телешоу в ряде других стран. В остальном, я буду проводить все свое время записывая новую музыку, и готовясь к тому, чтобы отлично выступить на конкурсе. - Будете ли вы выпускать новый альбом в ближайшее время? Если да, то будет ли его звучание приближено к альбому "Barcelona Sessions", или скорее к "Heroes"? - Да, мы надеемся подготовить альбом к весеннему релизу, где-то ко времени близкому к Евровидению. Он будет скорее в стиле "Heroes". Я сейчас работаю с той же командой авторов, которые написали эту песню, а также многими другими людьми. После победы на Мелодифестивалене передо мной открылись многие новые двери. - В желтой прессе прошло несколько статей о прошлогоднем телешоу, где вы сказали, что гомосексуальность - это ненормально, хотя и добавили, что в этом нет ничего плохого. Вы не хотели бы прояснить это? - Да. Мне очень печально, что это произошло. Я никогда не хотел использовать данное выражение. В этой дискуссии я хотел сказать, "не столь распространена", но получилось не совсем правильно. Я могу с полной уверенностью заявить о том, что я не гомофоб, никогда им не был и никогда не буду. Я использовал несколько глупых выражений и аргументов, которые я не должен был использовать, а потом они были вырваны из контекста. Быть гомосексуалистом - также нормально, как и быть гетеросексуалом, и я на все сто процентов поддерживаю ЛГБТ сообщество. Я всегда был их союзником, выступал в поддержку своей позиции на прайдах и гей-парадах. Я очень сожалею о том, что причинил боль множеству людей, и уже неоднократно извинился за это, и продолжу делать это так много раз, как это может потребоваться. - Что вы вообще ощущаете от участия в Евровидении? - Для меня - это воплощение мечты, и я с нетерпением жду поездки в Вену в мае. Я постараюсь получить там как можно больше удовольствия, насколько это возможно, и я горжусь тем, что я буду представлять Швецию. Победа на Мелодифестивалене тоже была моей мечтой, и теперь она сбылась, выступление на Евровидении - следующая по счету. Прием в посольстве Австрии. С послом Артуром Винклер-Хермаденом, певцом Монсом Зелмерлевом, главой делегации Кристером Бьоркманом, авторами песни Линнеей Деб, Джоем Деб и Антоном Мальмбергом Хорд аф Сегерстадом. Монс Зелмерлёв представил новый внешний вид MP - мультипликационного героя графики песни "Heroes". Новый головной убор, свитер, воздушный шар и более плотное телосложение - так он изменится к Евровидению. Вместо колпачка у него на голове появится берет, а вместо зонтика - воздушный шар. Также он будет одет в свитер. Новая фигурка больше, и имеет грушевидное тело. "Была Пасха, потому Монс Петтер немного поправился. У него новый головной убор, шар вместо зонтика, ведь дождь уже прекратился", рассказывает Монс Зелмерлёв в интервью Новостям культуры. Максимально возможные 50 баллов получила песня Австралии от шведских экспертов в первом эпизоде программы "Inför ESC". По словам делегации Швеции Кристера Бьоркмана, уже достигнута договоренность о том, что в случае победы Австралии, конкурс в 2016 году от имени Австралии будет принимать Германия. Австралия также собрала массивные 49% голосов на сайте телеканала SVT, и после эфира шоу попала в топ 10 шведского чарта iTunes. Первый выпуск шоу вы можете посмотреть здесь. У представителя Швеции Монса Зелмерлева достаточно плотный график перед выступлением на Евровидении. Он уже выступил в программе Голос Финляндии, посетил Eurovision In Concert в Амстердаме, где дал 35 интервью. 22го апреля певец побывает в Норвегии, где даст интервью ТВ, радио и газетам. На следующее воскресенье запланирован концерт London Eurovision в Великобритании, в котором в качестве специального гостя также выступит и Кристер Бьоркман. Еще одним специальным выступлением для Монса станет участие в шоу X Factor Adria, которое выходит в эфир по всей бывшей Югославии - в Сербии, Черногории, Боснии, Македонии и Хорватии. Эпизод с участием шведского исполнителя будет показан 17го мая, когда делегация Швеции уже будет находиться в Вене, куда она прибудет 13го мая. Представитель Швеции Монс Зелмерлёв сегодня в качестве гостя принял участие в шоу "Voice of Finland". Увидеть его выступление вы можете здесь. Съемки "открыток" продолжаются полным ходом. Артисты Евровидения прибывают в Австрию для того, чтобы выполнить всевозможные задания, с одной стороны как можно более разносторонне представить свою страну, а с другой стороны, познакомиться со страной-организатором. Монс Зелмерлев из Швеции отправился в Австрийские Альпы, где его ждал необычный полёт. После того, как возникли подозрения в возможном нарушении авторских прав, телеканал SVT принял решение заменить в качестве официального превью видео Швеции видео выступления в финале национального отбора на ранее снятое lyric видео. В то же время, предпринимаются усилия, чтобы изменить содержание используемой в выступлении Монса Зелмерлева анимации до его выступления на Евровидении в мае. Ранее, обнаружилось, что анимация с человечком с зонтиком была вдохновлена другим видео - "The Alchemy of Light", снятым в 2012 году перфоманс-артистом по имени "A Dandy Punk". Фредрик "Бенке" Рюдман, постановшик номера Швеции, говорит: "Действительно, меня вдохновила эта фигурка, которую сейчас все обсуждают. Хотя я не согласен с тем, что это можно назвать плагиатом, никогда нельзя предсказывать результата юридического рассмотрения вопроса. Более того, у нас просто нет времени ждать решения. Поскольку внешний вид фигурки не является решающим в номере, то очевидным решением стало несколько видоизменить ее". Глава делегации Швеции Кристер Бьоркман говорит, что это очень досадно, но изменения - не всегда так уж и плохо. "Да, это печально, придется кое-то что переделывать. Но раз уж так произошло, я вижу в этом хорошую возможность - мы можем еще усилить номер к маю". Сам Монс Зелмерлев чувствует себя спокойно и уверенно: "У нашего человечка изменится одежда. Сейчас весна - и он не может носить такой же костюм, как и в феврале". Тем временем, стал известен состав команды Монса на Евровидении в Вене. К Микке Блумквисту, Александру Хольмгрену и Леннее Дэб, работавшим на бэк-вокале в финале Мелодифестивалена, вместо Симона Лингмерта присоединяются ветеран хора Бритта Бергстрём и Жанет Олссон, выступавшие с Санной в Копенгагене. Планируется, что представитель Швеции посетит промо-вечеринки Евровидения в Лондоне и Амстердаме. Мы уже сообщали о том, что Сара Доун Файнер и Кристер Бьоркман станут ведущими превью шоу этого года в Швеции "Inför Eurovision Song Contest". Теперь стало известно о том, что в составе его экспертов к ним присоединятся Кристин Ампаро, Тесс Меркель и Эрик Сааде. Программы выйдут в эфир в 21:00 местного времени 21 апреля (Молдова-Македония, Франция, Австралия), 28 апреля (Сербия - Грузия, Испания, Австрия), 5 мая (Литва-Чехия, Италия, Великобритания), 12 мая (Израиль-Польша, Германия). В программах 2-4 зрители также встретятся с Монсом Зелмерлевом и узнают о том, как проходит его подготовка к шоу. Сара Доун Файнер станет ведущей программы "Inför Eurovision Song Contest" вместе с главой делегации Швеции Кристером Бьоркманом, который выступят в качестве эксперта по Евровидению. Доун Файнер сама дважды принимала участие в шведском Melodifestivalen, а в 2012 году была ведущей шоу вместе с Гиной Дирави и Хеленой Бергстрём. Ее персонаж Линда Вудрафф имел огромный успех в Европе во время подготовки к Евровидению 2012 и организации конкурса 2013 года в Швеции, где Доун Файнер также исполнила песню "Waterloo" в финале шоу. Теперь Сара Доун Файнер возвращается на Евровидение. Помимо обзора участвующих песен, программа также расскажет о подготовке представителя Швеции Монса Зелмерлёва к финальной части Евровидения. Линда Вудрафф также не завершает карьеру, она станет репортером с церемонии "красного ковра" и возьмет интервью у всех участников для шведского эфира шоу, который будут из студии в Лондоне комментировать Сара и Кристер. "Среди наиболее часто задаваемых мне вопросов обычно "Вернется ли Линда?" и "Приму ли я снова участие в Melodifestivalen?". Когда стало известно, что SVT планирует вести масштабное освещение с 60го юбилейного шоу с "красной дорожкой" мы начали обдумывать, как лучше организовать это, и сразу стало понятно, что лучше всех роль репортера Европейского Вещательного Союза исполнит Линда Вудрафф. Мне очень нравится играть роль Линды, и то, что она нравится многим телезрителям. Потому я приняла это предложение с радостью", говорит Сара Доун Файнер. "Перед Евровидением" будет выходить в четырех частях, начиная с 21 апреля в 21:00 местного времени на SVT1 и SVTPlay. "Евровидение отмечает 60-летний юбилей" выйдет в шведский эфир 4го апреля: Пре-шоу в 21.25, Гала-концерт в 21:45 и Афтер-шоу в 23:20 на SVT 1 и SVTPlay. скромно оценил задачу, стоящую перед делегацией Швеции ее глава. В интервью австрийскому телевидению Бьоркман постарался избежать спекуляций о возможной победе Швеции на конкурсе. "Статистически, каждая страна может одерживать победу примерно раз в 40 лет. Потому, любое место, которое будет выше десятого, для нас будет признано абсолютно потрясающим результатом". Ранее в интервью шведскому телеканалу продюсер заявлял о том, что среди глав делегаций Швеция расценивается в качестве фаворита конкурса. "Почти каждый из них называет Швецию в качестве фаворита, при этом добавляя какие-то другие страны, но эти другие страны постоянно меняются, например это могут быть Италия или Эстония. Но никакая другая страна не упоминалась практически всеми, как Швеция". Продюсер также высказал свое мнение, о том, какие страны войдут в пятерку лучших на Евровидении 2015. По его мнению, компанию Швеции там составят Азербайджан, Черногория, Австралия и Словения. Напомним, что Кристер Бьоркман занимается национальным отбором Мелодифестиваленом и подготовкой представителя Швеции уже 14й год, а во время конкурса 2013 в Мальме являлся его шоу-продюсером. Несмотря на то, что стартовый номер 13 считается несчастливым, да еще и идет после рекламной паузы, что считается поклонниками конкурса неудачным (хоть совершенно и не доказано математически), Бьоркман им полностью доволен. "Это очень хороший стартовый номер. Мы откроем последнюю часть выступающих артистов и это весьма неплохо. Мы с нетерпением ждем", заявил он. Пресс-секретарь исполнителя Хелена Вигрен подтвердила, что номер Монса Зелмерлёва был допущен организаторами шоу. "Нет никаких проблем в использовании нашего номера в Вене. Мы будем развивать его отталкиваясь от того, как он выглядел на МФ", сообщила она. Как ранее заявлял сам исполнитель: "Еще перед финалом мы задумывались о включении в номер большего количества пиротехники. Теперь мы, наверное, снова рассмотрим этот вопрос". "Я очень уверен в номере, зрителям он очень понравился, потому мы не планируем вносить в номер значительные изменения", сказал Монс в интервью ESCKAZ.com. "Я очень постараюсь постараюсь выложиться по полной, чтобы занять как можно лучшее место, я бы очень хотел, чтобы конкурс вновь вернулся в Швецию. Я считаю, что Heroes - это песня для Европы", отметил исполнитель. "Я был уверен, что Йон Хенрик возьмет титул, потому что я никогда не побеждаю на конкурсах. Я все еще помню, как я победил в голосовании жюри в 2009 году, и сразу после этого все пошло шиворот-навыворот. Поэтому, я сидел и старался сосчитать, смогу ли я все равно победить, если Йон Хенрик получит больше голосов от шведских зрителей, говорит Монс, который в итоге одержал с большим отрывом победу и в телеголосовании. "Невероятно, что я получил подобную поддержку. Поскольку в 2009 году именно поддержки зрителей мне и не хватило, то на этот раз это было очень для меня важно. Вернуться на конкурс, отмечать 10 лет сценической деятельности, и одержать победу - это просто потрясающе. Теперь начинается подготовка уже к международной версии Евровидения, и есть желание изменить что-то в постановке номера. "Еще перед финалом мы хотели использовать в номере пиротехнику, но в итоге отказались от нее, а теперь я считаю, что нужно переосмыслить этот вопрос", говорит Монс. Существовали также определенные опасения по поводу того, сможет ли Монс в Вене использовать свои проекторы, но глава делегации Кристер Бьоркман заверил, что это не станет проблемой. "Я думаю, что это вполне реально. Не помню ни одного примера из прошлогодних опытов, чтобы кому-то могли запретить привезти свои проекторы и найти место, чтобы установить их. Так что, все решим. Если мы смогли решить вопрос с разбиваемой стеклянной клеткой в Дюссельдорфе, то думаю, что и проекторы в Вену мы привезем". Во время Melodifestivalen, в песне "Heroes" использовался записанный детский хор. Бьокман не видит проблем в приведении песни к правилам: "Если понадобится, то мы привезем с собой пять бэк-вокалистов. Можно решить эту проблему с использованием 16-летних певцов с юными голосами, или мы можем подготовить другую хоровую аранжировку. Это все тоже разрешимо. Монс уже успел познакомиться со своими оппонентами по Евровидению. "Прежде всего, мы концентрируемся на полуфинале, который пройдет 21го мая. Я посмотрел на принимаемые на сегодня ставки и почувствовал облегчение. Эстония, Италия и Швеция составляют тройку фаворитов. После небольшой настойчивости ведущего программы Gomorron Sverige Александра Норена Монс заявил на всю страну: "Да, я думаю, что у нас очень хорошая песня. Я одержу победу на Евровидении". Последний полуфинал Melodifestivalen пройдет в эту субботу, но уже во вторник официальный диск конкурса был замечен в продаже в точке Coop в Эребру. Согласно правилам, ни 6 песен, вышедших напрямую в финал шоу, ни песни, принимающие участие в 4м полуфинале, не могут быть выпущены до конца субботнего эфира. Луиза Стефан, пресс-секретарь Coop, объясняет произошедшее человеческим фактором. Она проинформировала газету Aftonbladet о том, что диски были убраны с продажи сразу, как только ошибка была обнаружена. Она не смогла предоставить информацию о том, было к тому времени ли уже продано некоторое количество дисков, но отметила, что в продаже они были всего несколько часов. "Мы очень сожалеем о произошедшем", говорит она. Камилла Бьеринг фон Звайгберк, представитель Warner Music, производящей диск, объясняет произошедшее таким же образом, говоря о том, что диски производятся и рассылаются заранее, чтобы уже в субботу вечером их могли выставить в продажу. "Очевидно, что кто-то недопонял инструкций, которые мы дали вместе с дисками". Приложение для голосования было скачано свыше 22 тысяч раз, однако, SVT признало, что всего за минуты до начала шоу, обнаружило в нем баг, приводящий к зависанию экрана с голосованием. "Я рада, что это произошло до эфира, и потому мы смогли собрать больше данных об этой ошибке во время шоу", говорит руководитель проекта Melodifestivalen Кристел Толсе Виллерс. Было замечено, что при переключении между несколькими приложениями, система голосования замораживалась, но проблему можно было разрешить, если пользователь кликал на меню и возвращал приложение в режим прямого эфира. "Это печальное упущение. Мы очень массивно тестировали приложение, но подобные вопросы случаются. К следующей неделе все будет исправлено", говорит Виллерс в интервью Expressen. Ряд поклонников шоу обвинили организаторов в том, что приложение не работало и не принимало голоса до середины третьей песни, и таким образом артисты, выступавшие первыми, пострадали от этого. SVT отрицает этот факт, и признает только общую ошибку, которая не была направлена только на исполнителей, выступавших в начале списка. "Мы уверены в том, что результаты шоу подсчитаны правильно. Мы можем сравнить результаты голосования СМС с голосованием по приложению. И они совершенно совпадают", говорит исполнительный продюсер шоу Кристер Бьоркман. Среда, 12-18: Текстовые репортажи с первых репетиций вне сцены, за которыми последует первое прослушивание прессы. Среда, 11:30: Песенная Библия: текст песни, список используемых инструментов, декораций и спец.эффектов, имена всех танцоров и бэк-вокалистов и т.д. Четверг, 11-17 (После репетиций каждого конкурса): вы сможете увидеть и услышать 30 секундные видео отрывки каждой репетии (по сравнению с 60 секундными в 2014 году). Пятница, прим. 22.00: Результаты опроса общественного мнения на генеральной репетиции. Суббота, 14:00: Студийные версии участвующих песен (вероятно 2:30 отрывки) будут опубликованы онлайн. Суббота, 14:00-15.35: Вторая генеральная репетиция. Суббота, 20:00-21.30: Прямой эфир шоу с чатом с его участниками из грин-рума сразу после их выступлений. Чаты с участвующими артистами, ведущими и специальными гостями онлайн в различное время. Более детальное расписание графика 1го полуфинала можно найти здесь. За всеми новостями также можно следить в русскоязычной фан-группе Мелодифестивалена в социальной сети VK (требуется регистрация). Объявлен состав "huskör" и "husdansare" шведского национального отбора Мелодифестивален 2015 (бэк-вокалисты и танцоры, назначенные SVT). Их можно будет увидеть в подавляющем большинстве номеров шоу. В этом году состав ансамбля Мелодифестивалена обновлен на половину. Из прошлогоднего ансамбля остались Симон Лингмерх в составе хора и Карин Мортенссон в составе подтанцовки. В прошлом году Карин можно было увидеть в выступлениях таких артистов, как Джанет Леон, Линда Бентзинг, Махан Моин, Манда, ЙосеФ Йоханссон и др. До этого она уже несколько лет принимала участие в шоу, выступая, например, в номерах Шарлотты Перрелли в 2012 году и Swedish House Wives в 2013. Известность к Симону Лингмерху пришла с участием в шоу Idol в 2010 году, и сейчас легче назвать имена артистов, в выступлениях которых в прошлом году не понадобились услуги Лингмерта, нежели наборот. Он спел бэк-вокал не менее 20 участникам шоу, от Антона Эвальда, Альваро Эстреллы и Оскара Зии до Outrigger и Alcazar, и до Хелены Папаризу, Эйс Уайлдер и Ширли Клэмп. Для Мии и Эдин это будет дебют в качестве официальных бэков шоу. Миа Стегмар принимала участие в МФ 2004 года в составе собственной группы Itchycoo. Эдин Юсуфрамич был танцором в номере Данни Сауседо в 2012 году, входит в состав танцевальной труппы "Complete", которая занимается постановкой собственных шоу. "В прошлом году в шоу было не так много танцев, но в этом году будет значительно больше. Что наиболее интересно в данной работе, это то, что иногда приходится принимать решения в реальном времени и вносить прямо на сцене изменения в процесс. Приходится учиться работать под большим давлением", говорит Карен. "До прошлого года я принимала участие в шоу только в качестве приглашенной танцовщицы. Тебя нанимает менеджмент артиста и руководит тобой и заботится о тебе. Теперь мне приходится заниматься большей частью вопросов самой", добавляет она. В этом году вновь хор и танцоры будут задействованы в более чем 20 номерах, однако, "huskören" часто снова будет располагаться за сценой. "Многие спрашивают, не предпочли ли бы мы находиться на ней непосредственно, но то, что мы находимся вне пределов видимости камер имеет и свои преимущества. На других участников номера накладывается гораздо большее давление, а нам нужно лишь показать то, в чем мы являемся профессионалами, и поделиться своей энергией", говорит Миа. Своим мнением о составе хора Мелодифестивалена с нами поделился эксперт в этой области Евгений Обручевский: "В последние три года SVT решило обновить состав привычного на протяжении многих лет хора, приглашая в него новых бэк-вокалистов. Как мы заметили, канал отказался от классической схемы хора 2 парня + 2 девушки, мотивируя это экономическими соображениями, а также разрешением с 2009 года использования в номерах прописанного бэк-вокала. Тем не менее, некоторые артисты продолжают приглашать известных бэк-вокалистов из состава хора прошлых лет как дополнительных артистов. В прошлом году таки образом в номерах выступали Каролин Юнссон, Йессика Марбергер, Юхан Рёр, Терес Лёф. Я с нетерпением жду появления некоторых из "звезд хора" и в этом году. Дебютанты же хора зарекомендовали себя в 2014 году весьма хорошо, что, вероятно, и послужило причиной того, что двое из четырёх участников ансамбля продолжат свою работу в нем". "Также очень бы хотелось все же надеяться, что, учитывая конструкцию сцены Мелодифестивалена 2015, в этом году практика пения хора за сценой будет сведена к минимуму и бэк-вокалисты будут чаще работать непосредственно на сцене, а не из-за кулис. И это касается не только Мелодифестивалена, но и самого Евровидения - к сожалению, конкурс в Копенгагене в большом объёме перенял этот негативный опыт. Хотя сама Швеция может гордится своими бэк-вокалистами, которых для участия в Евровидении регулярно приглашают многие страны, в том числе Россия и Азербайджан. " Как обычно, шведская песня Евровидения будет выбрана на национальном шоу "Melodifestivalen 2015", где 28 песен сразятся в 6-недельном процессе, состоящем из 4х полуфиналов 7, 14, 21 и 28 февраля года, раунда "Второй шанс" 7го марта и финала 15 марта 2015 года. Ведущими всех шоу станут представительница Швеции на Евровидении 2014 Санна Нильсен и юморист Робин Паульссон. Период приема заявок продлился с 1го по 16 сентября 2014 года. Всего было получено 2177 заявок, что является рекордным количеством для всех стран, участвующих в Евровидении 2015. Из них 1733 заявки были направлены на "Обычный конкурс" и 444 на "Публичный конкурс" (для авторов-новичков, чьи композиции профессионально не издавались ранее, и из числа которых в состав участников Мелодифестивалена был выбран лишь один участник). Правила отбора включали в себя требование того, что 50% отобранных к участию в конкурсе песен должны быть написаны женщинами-композиторами (увеличение от 20% требуемых в 2014 году). Более того, 30% песен отбора должны исполняться преимущественно на шведском языке. Первым артистом, чье участие в Melodifestivalen 2015 было подтверждено, стал Калле Йоханссон, победивший 31 августа 2014 года в конкурсе шведских авторов и исполнителей Svensktoppen nästa, организуемым шведским Радио 4. Имена остальных участников конкурса были объявлены на специальных пресс-конференциях 24 и 25 ноября. В число участвующих артистов вошли бывшие конкурсанты Евровидения Эрик Сааде (Евровидение 2011), Йессика Андерссон (Евровидение 2003 в составе дуэта Fame) и Марие Бергман (Евровидение 1971 и 1972 в составе группы Family Four и 1994 в дуэте с Роджером Понтаре). Подробнее с участвующими артистами вы можете познакомиться здесь (на шведском). Билеты на шоу Мелодифестивалена можно приобрести на сайте ticnet.se. В формат отбора, по сравнению с прошлыми годами, были внесены ряд изменений. Так, семь песен, а не восемь примут участие в каждом из полуфиналов: по две лучшие выйдут в финал напрямую, а песни, занявшие третье и четвертое места примут участие в раунде "Второй шанс". В нем будут проведены 4 "дуэли", победители которых выйдут в финал. Итого, в финале шоу в этом году встретятся 12, а не как обычно 10 песен, и это станет самым большим финалом Melodifestivalen с 1997 года. Еще одно изменение заключается в том, что песни, попавшие во "Второй шанс" можно будет ротировать на радио сразу по окончанию их полуфиналов, а вот прямым финалистам придется подождать окончания 4го полуфинала. В этом году также будет применен лимит в 20 голосов за конкретную песню, однако, можно будет по-прежнему голосовать за любое количество понравившихся песен в шоу. С помощью нового мобильного приложения Melodifestivalen, поклонники смогут бесплатно голосовать прямо во время исполнения песни. Также оно будет демонстрировать за кого голосуют ваши Facebook друзья и люди в различных частях Швеции. Всего с помощью этого приложения можно совершенно бесплатно отдать до 5 голосов, что делается в то время, пока артист находится на сцене (при этом надо иметь в виду, что при просмотре шоу онлайн может быть задержка эфира до 40 секунд). Количество отданных голосов зависит от того, насколько сильно будет нажиматься картинка с бьющимся сердцем. Чтобы отдать пять голосов, придется более сильно надавить на него и удерживать какое-то время. Голоса сердечками будут расцениваться также как и телефонные и СМС голоса. Во время прямого эфира, можно будет наблюдать за тем, как интенсивно голосуют все те, кто использует данное мобильное приложение. Скачать его можно в App Store, Google Play и Windows Phone Store c 4го февраля. Сцена Melodifestivalen 2015 будет крупнейшей в истории конкурса. Ее ширина - 24 метра и глубина - 21 метр. Уникальность сцене придают 40 полупрозрачных трубок, длиной в 4-6 метров, в которые встроено освещение, именуемое "аурой" и которые будут рядами подвешены на сцене по направлению к зрителям. Уже привычным элементом является наличие LED панелей, и в этом году даже пол сцены и ее боковая часть будут оснащены LED панелями для придания больших эффектов. Авторами дизайна сцены стали Фрида Арвидссон и Виктор Браттстрем. По их словам, они сделали все возможное, чтобы встроить в сцену наибольшее количество освещения. Подробнее о сцене можно прочитать здесь (на шведском языке). Гринрум в этом году будет располагаться ближе к сцене. Во время финала он расположится посредине паркета, и в этот раз в него будет допущено большее количество гостей, нежели раньше. Международные жюри в финале Армения (Гоар Гаспарян), Австрия (Кончита Вурст), Бельгия (Аксель Ирсу), Кипр (Клитос Клиту), Эстония (Март Нормет), Франция (Брюно Берберес), Израиль (Моше Морад), Мальта (Даниель Д'Анастаси), Нидерланды (Хендрик Бакуисен), Словения (Майя Кеуц), Великобритания (Саймон Проктор).